After a five year wait, Deus Ex: Mankind Divided is here, the latest game in one of the most incredible game franchises ever. Developed by Eidos Montreal under Square Enix, Deus Ex: Mankind Divided is a story-driven hybrid FPS/stealth game with some RPG inspired elements, set in a one of a kind cyberpunk world. 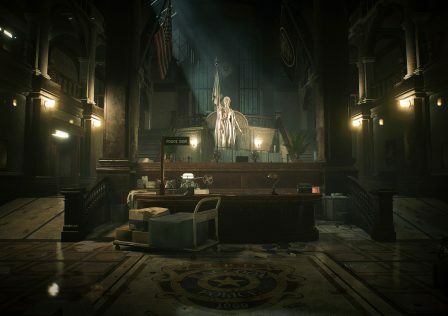 The franchise is known particularly for bringing amazing atmosphere and impeccably detailed locations, with an abundance of content. 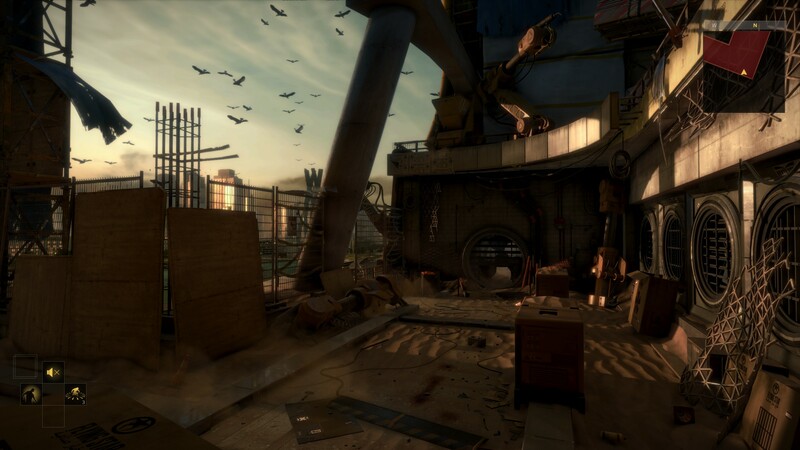 Mankind Divided is the sequel to the award winning Deus Ex: Human Revolution which released in 2011, but it is still a prequel to the original Deus Ex released in the year 2000. 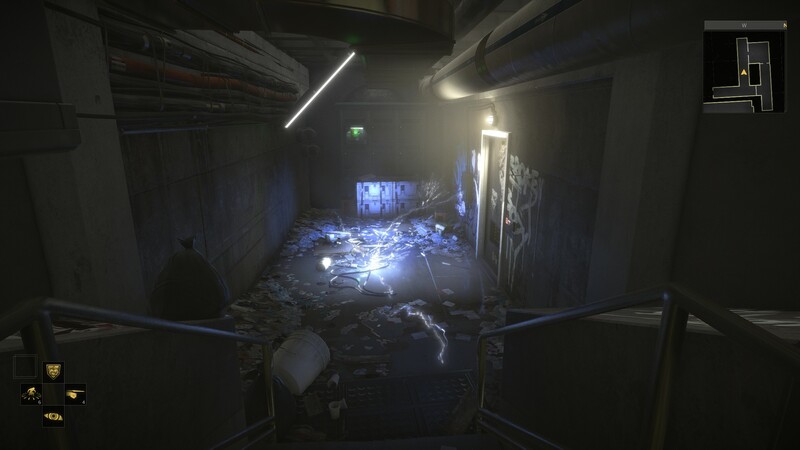 Newcomers to the franchise are advised to begin with the original Deus Ex, especially since a fantastic mod exists to bring it into the 21st century. After this, continue to Human Revolution Director’s Cut (which includes the ~8 hour expansion) before finally playing Mankind Divided. 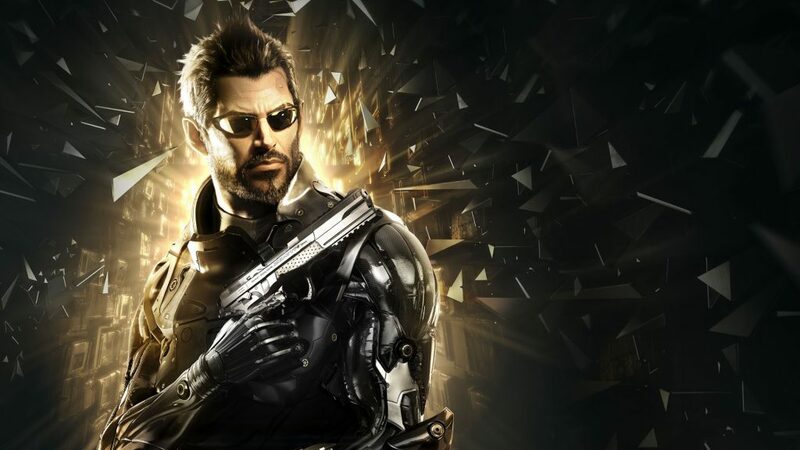 There is also Deus Ex: Invisible War, the sequel to the original, but it is set so far in the future that the only requirement is to play Deus Ex beforehand. Some may know of Deus Ex: The Fall, but it is a very limited and heavily flawed game designed for mobile devices, therefore it is not all that important. This was a game that many people were anticipating. Given how excellent both Deus Ex and Deus Ex: Human Revolution are, Mankind Divided has a lot to live up to. Let us see if it is a worthy addition to this legendary franchise. This review contains minor spoilers, hidden behind spoiler tags and obvious warnings. Technological revolution leading to controversy, riots, and ruin. Advancement of the human species (according to some) through augmentation technology. A world with conflicting views on the technology in question, with numerous well-written characters at every turn providing a different perspective to the issues at hand. A culturally and environmentally diverse world introduced to the players, using massive interactive hub locations to show us how the issues at hand have affected different parts of the world. The protagonist is tall, imposing, and wears a dark trench coat with sunglasses even indoors and at night. Triangle symbolism (representing the Illuminati), conspiracies and espionage. An action game involving far more than just shooting and sneaking, often having more dialogue and exploration than either. All of that is Deus Ex. It is what the original game showed us back in 2000, and it is what Deus Ex: Human Revolution successfully followed up on more than the first sequel. It’s also what Deus Ex: Mankind Divided is supposed to be. 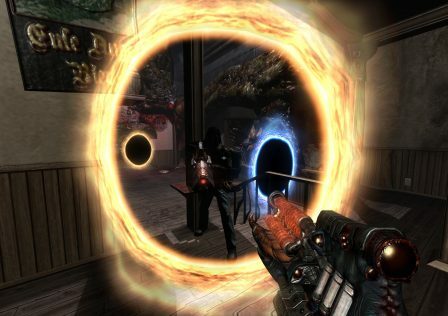 The original game was designed primarily for PC and was a timed PC exclusive. The PC focused design is evident in all aspects of the original; the gameplay complexity, the lack of hand holding, the environmental interactivity, the scale and attention to detail, things that consoles at the time didn’t have enough memory for. Human Revolution carries on these design principles like any true successor should. As for Deus Ex: Mankind Divided? The general gameplay and UI design were largely built around the same principles. 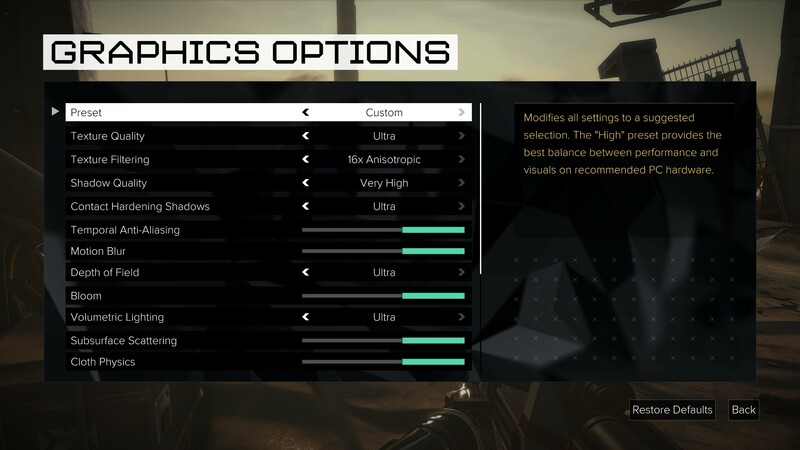 As of November 2016, the vast majority of issues with Deus Ex: Mankind Divided have been addressed. In the quote below is what we had written originally, so that our readers can understand how bad it was at launch. [quote=”Our review shortly after launch”]Yet at the same time it manages to be a pitiful console port. Highly unstable, terribly unoptimized, a high amount of mouse acceleration that cannot be disabled. Crashes for numerous reasons including memory leaks. More mouse acceleration than most games you will come across in this day and age, with no way to disable it. NPCs can get glitched into walls and objects, but this is rare. Runs worse than many better looking games, although it does make almost even use of all eight threads on my Intel Core i7 6700k. Technically, Deus Ex: Mankind Divided is a hot mess. 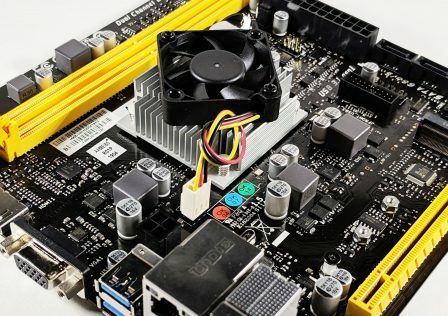 Dawn engine needs to be buried for good. As of September 4, 2016, the time this review was published, stability has improved slightly. It’s still unacceptable in its current state, especially since some of the crashes are memory leaks and can screw up the system until rebooting. Optimization is still awful, although shadow settings may have slightly less performance impact now. As of November 2016, stability is no longer an issue. 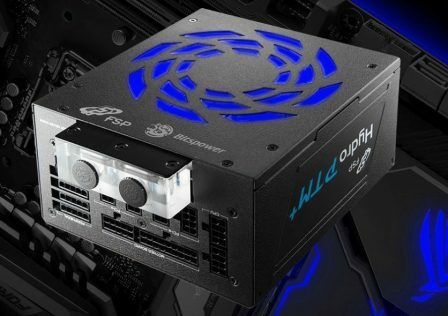 Mouse acceleration is gone in place of raw input! Performance has improved and stabilized even in DX12 which is now included. The game even has UI scaling, as such a thing is needed for the inevitable takeover of 3840 x 2160 (4k) resolution. 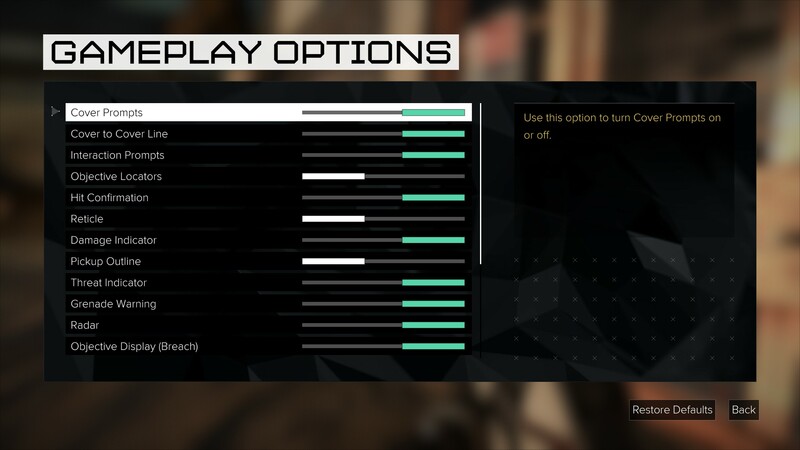 The amount of options is a pleasant surprise, while the sloppy incomplete console porting at launch is both unpleasant and expected as this is the trend for AAA games. Still, Mankind Divided is one of the hardest games to run despite not having the best graphics fidelity nor the biggest scale. Like most, if not all other modern AAA games, Deus Ex: Mankind Divided released in what is truly a beta stage, despite not being labeled a beta build. The game also has an arcade mode called Breach, which seems tacked on, and something called Jensen’s Stories which is a series of story-related DLC. We will talk about the first one, Desperate Measures which was a day one DLC, later on in this review. In conclusion, Deus Ex: Mankind Divided had a terrible launch but is now, as of November 2016, a playable game that seems technically complete. Is there a good, maybe even great game under it all? Let’s find out on the next page. 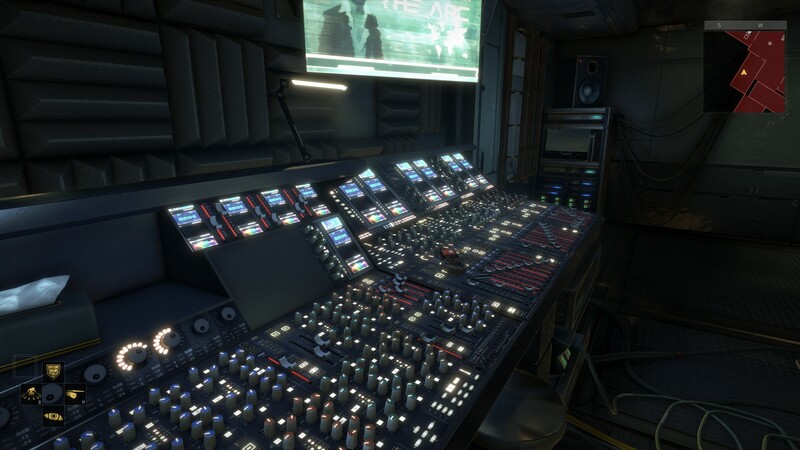 Deus Ex: Mankind Divided relies primarily on dialogue (including dialogue choices for the player arranged in a wheel, which aren’t always available mind you), the environment and environmental interaction in various forms (including reading various kinds of text on computers, pocket secretaries, electronic newspapers, etc), and occasional cutscenes for storytelling. The addition of tying in player choice within gameplay with storytelling is a strong benefit. 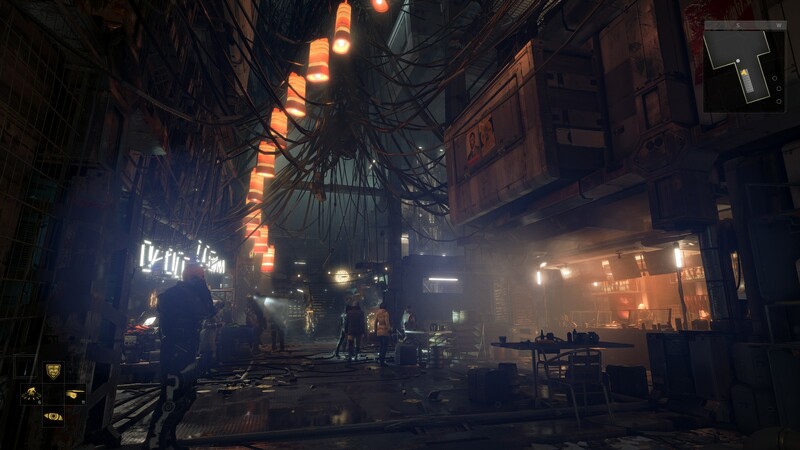 Mankind Divided, like Human Revolution and the original, draw heavily on the strengths of the video game medium for storytelling, with the same cinematic touches from the former. The year is 2029, 2 years after Deus Ex: Human Revolution and 23 years before Deus Ex. A lot has happened in those 2 years, perhaps too much actually. It would be more believable for this game to be set a few years later. The main goal of this story is to show us the aftermath of the disaster that occurs at the end of Human Revolution. Where Human Revolution, as the name implies, shows us the revolution of augmentation technology in its earlier years (that is, earlier years of the revolution, not the earlier years of augmentation technology), Mankind Divided shows us the division this technology created within humanity. We saw pro-augmentation versus anti-augmentation conflicts in Human Revolution, portrayed in a wonderfully diverse way. It wasn’t just one side or the other, it was not black and white. We see more of that here, with more depth, more perspectives, more sides to the argument. This argument was altered considerably by the events of Human Revolution, going more from transhumanism to “racism” as augmented people have formed a racial identity, understandable given the circumstances. In Human Revolution, anti-augmentation groups were against augmentation technology either because they feared falling behind and losing their jobs to more capable augmented people, or they don’t think we should play God and try to control our own evolution, or they think it’s great for amputees but willingly sacrificing fully functional limbs for mechanical augments is too extreme, or for various other reasons as Hugh Darrow ironically tells you. But in Mankind Divided, most people are against it because of the incident that occurred at the end of Human Revolution. What incident? Play it and see for yourself if you haven’t. You play as Adam Jensen, former SWAT and former private security for Sarif Industries, which used to be a billion dollar augmentation technology company. Now you work for Interpol, and most of the plot has you, an unwillingly augmented man, investigating a series of terrorist bombings. It is thought that the bombers are members of A.R.C., or Augmented Rights Coalition, although the leader of this group advocates non-violent protesting and the like. The A.R.C. exists because of discrimination, segregation, and abuse against augmented people. Such treatment has become the norm because of the incident at Panchea at the end of Human Revolution. It is similar to the way blacks were treated in 20th century United States; augmented citizens, or simply augs, must use separate train cars, aren’t allowed in certain places, and are abused by police and citizens alike. Crimes against augmented citizens aren’t taken seriously or made a priority. The environmental design says it all. Prague highlights the oppression suffered by augmented people. It is split up into two districts; one poor, one not. The poor one is inhabited almost exclusively by augs, and of course police. It is a ghetto, filled with different religious cults and sects, and people trying to take advantage. Then of course there is police brutality and mistreatment, graffiti, propaganda, you name it. The amount of environmental diversity in textures, architecture, interior design, everything, in both districts is extremely impressive. It goes to show we are entering a new era of gaming. Separated subway entrance lines for “naturals” and “augs.” It’s hard to see in this picture, but the augmented entrance is tiny and surrounded by barbed wire unlike the other one. A.R.C.’s founder, Talos Rucker, speaks out against the terrorist bombings. He claims to only advocate non-violent methods. But because of the discrimination against augs, he is of course made a suspect and target for arrest. 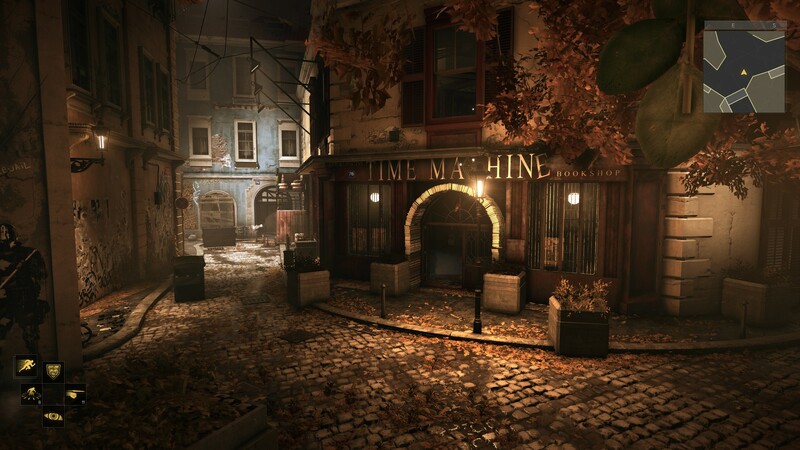 Most of the game takes place in Prague. 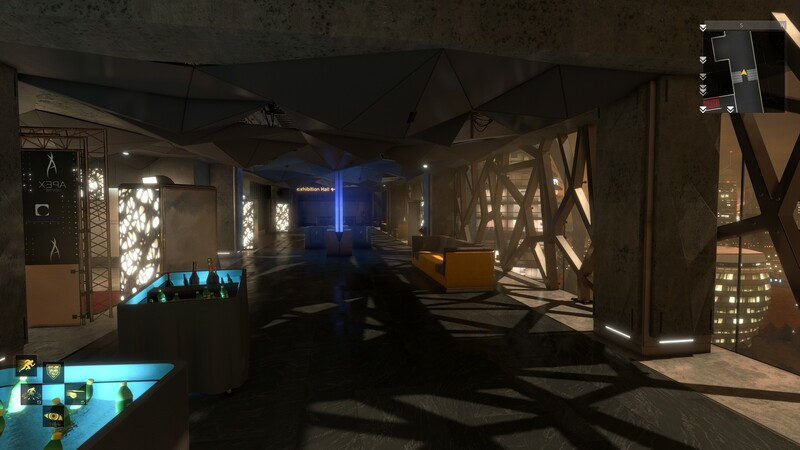 It is a huge hub, the biggest in Deus Ex history, and is loaded with content. No meaningless fetch quests here, every side quest adds to the story and adds to the world thematically, and every single one is filled with excellent dialogue that successfully conveys a unique perspective to the game world and current events/issues. This is a tough thing to do well in writing, but it’s something both Deus Ex and Deus Ex: Human Revolution succeeded at in the past, and Mankind Divided does it better than all of them. This game is filled to the brim with social commentary. This is an ideal example of a world that is full of grey areas, opposed to being black and white. Throughout the game you will meet all sorts of characters. You don’t always get to know their life stories, but the character development is great. Everyone does their part in providing a unique perspective or point of view, their own ideology and motives. Characters are actual characters, not quest giving robots like most games. You will meet characters able to provide compelling arguments for their distinct view on pro-augmentation, anti-augmentation, or neutral. Throughout this game the dialogue will continuously stimulate your mind and open it to new ideas. This game, like its predecessors, is very literate, and this is one of the reasons Deus Ex stands above most games on an intellectual and artistic level. Even random unnamed NPCs often have something unique to say, that successfully brings across their unique view of current events. It makes the world seem alive and authentic, as citizens have the right to an opinion too and they have all had their own unique experiences. This game portrays this better than perhaps any other. 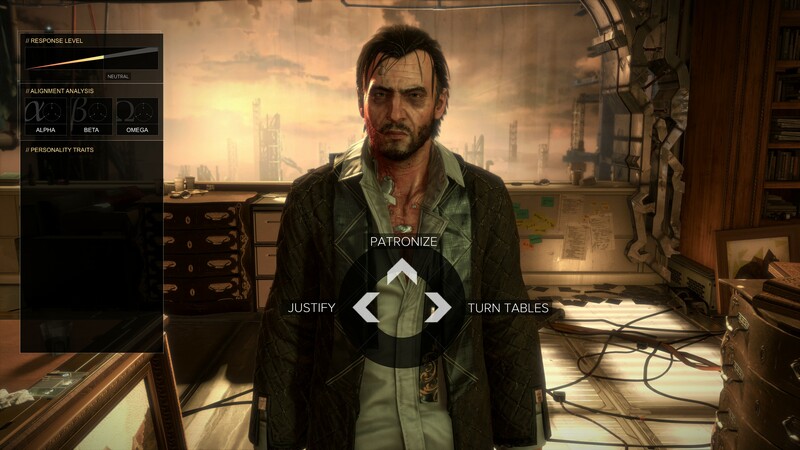 Although unfortunately, NPCs Mankind Divided are less responsive to Jensen’s progress. There isn’t much dialogue change at all upon Interpol agents, depending on your successes and failures during missions and depending on whether or not you took a violent or non-violent approach. The original game as well as Human Revolution respond strongly to this, Mankind Divided does not. On that note, it is worth noting that random NPC character models are repetitive. There are numerous lookalikes around Prague. You would hope we’d be past this in 2016, but sadly we are not. These differing ideas don’t just extend to individuals of course, but also various groups, factions, organizations, and cults. Whether it’s the Church of the MachineGod, which believes that augmentation technology is a way to ascend the petty human body into something greater, or the Human Restoration Project which believes in undoing augmentation technology on the world, or A.R.C. and its split between non-violence and violence, or Samizdat which believes in providing a truthful satiric news source to counter the mainstream Picus news, or the elusive Juggernaut Collective which believes in exposing the truth by any means, or Interpol and their apparent attempts at being unbiased and objective. And much more. Different players will side with different groups and individuals, as is the goal of such a “grey” world. The world of Deus Ex: Mankind Divided is expertly written, more impressive than its predecessors even. Adam Jensen is one of only two augmented operatives within Interpol, and the only one on the field. So much for their objectivity. Needless to say, Jensen encounters some discrimination within Interpol. 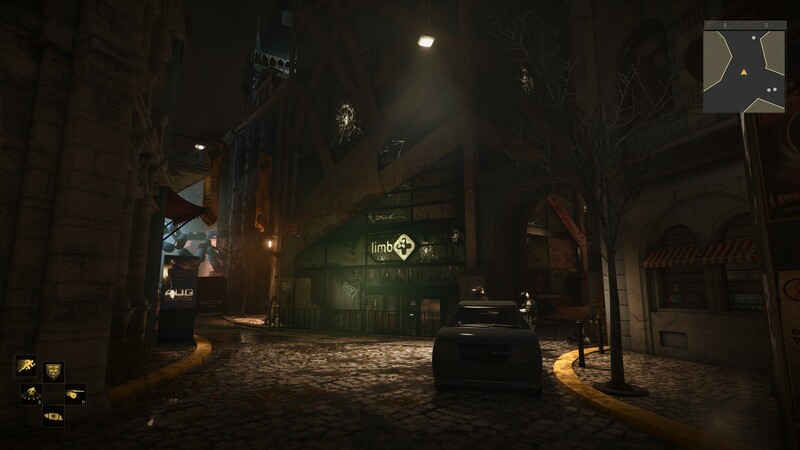 One of the game’s locations is the TF29 headquarters, a secretive Interpol base underneath Prague. 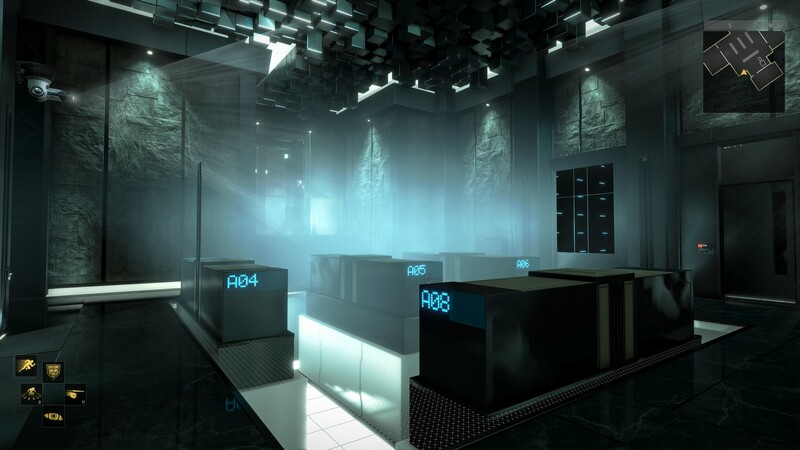 It is akin to Sarif HQ in Human Revolution, and UNATCO HQ in the original. It is definitely designed to be more reminiscent of UNATCO HQ. As the plot progresses, it becomes harder to trust any organization leader, including TF29’s commander Jim Miller (Jensen’s superior). This is something of a staple of the Deus Ex games. Miller seems to be hiding something, they all are. Even Jensen is, as he’s really a covert operative for the Juggernaut Collective. And the leader of the Juggernaut Collective? Nobody knows who he is. He is an anonymous hacker, mysteriously replacing the founder who was also an anonymous hacker (with poor writing skills). Miller seems to be hiding something but Janus, the leader of the Juggernaut Collective, hides everything including himself. How can that be trustworthy? As Jensen, you can choose loyalty to Interpol or you can leak intel to the Juggernaut Collective. You do have to pick a side. Several such choices come up, others too that have nothing to do with either group. They aren’t abundant in quantity, nor are they shoehorned into the game just to force “choice and consequence” rather it is all deliberate, quality storytelling. As with the previous Deus Ex games, one of the ways in which the player is hooked into the story is by making it personal. There has always been something hidden and surprising buried about the protagonist’s past, and it is gradually revealed in such a way that keeps getting more interesting as the game progresses. We won’t spoil any details, but Mankind Divided has such a thing as well. 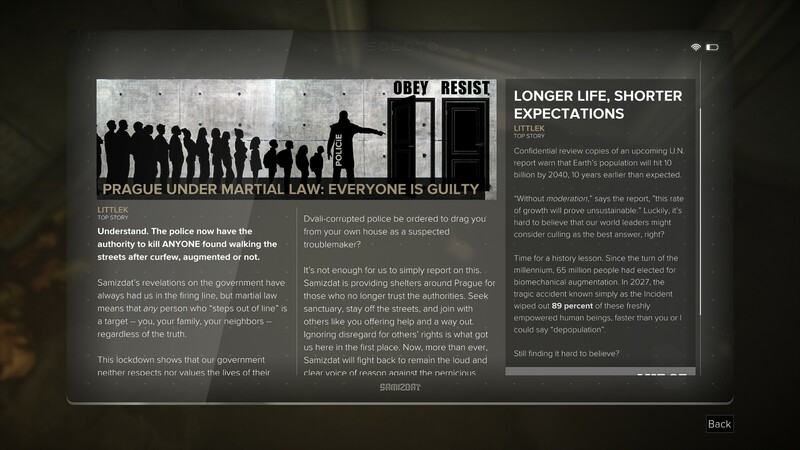 The incredibly interactive persuasion system from Deus Ex: Human Revolution makes a return. It is largely the same; by using an optional “Social Enhancer” augmentation, Jensen can analyze things such as the tone of someone’s speech, pupil dilation, heart rate, alpha/beta/omega personality response, and more, in order to try and determine their emotional response to a discussion. This system forces character development where other games have none; after analyzing, personality attributes will be displayed. Based on the conclusion from the analysis, three special dialogue options will appear; one for alpha, one for beta, and one for omega personality types. Paying attention to their emotional response to the conversation is a must in order to determine which is most appropriate. It is a persuasion system built upon character development, and it is always wrapped up in a thought-provoking complex discussion. 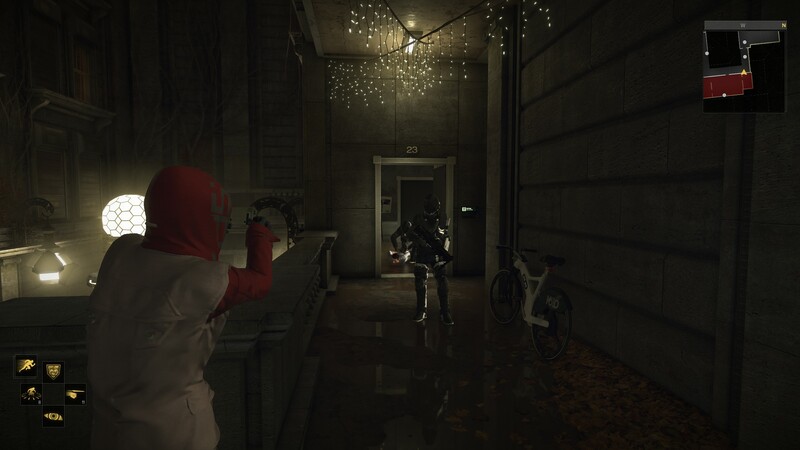 It adds intensity and a layer of depth to this game, that only Deus Ex: Human Revolution also has. There is one new feature with this persuasion system, which is an additional augmentation to unlock; the ability to interject during dialogues in the form of quicktime events, much like the Paragon and Renegade QTEs in Mass Effect 2 and Mass Effect 3. Some players will take issue with the fact that Jensen never becomes very close with anyone in Mankind Divided. 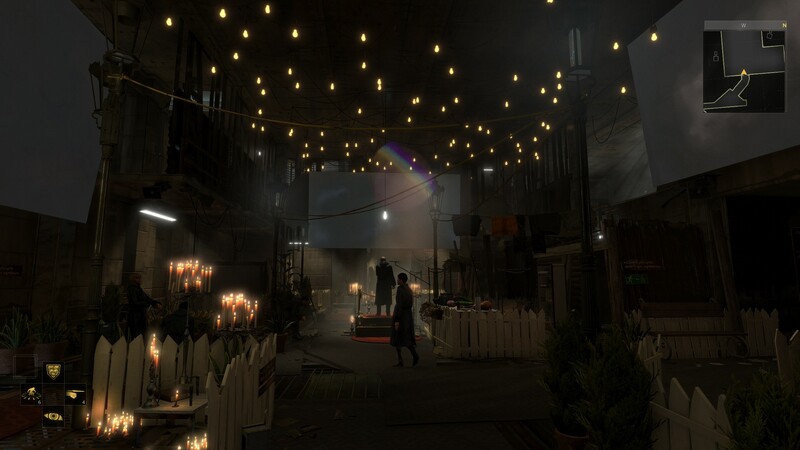 In Human Revolution, Jensen builds a close relationship with his boss, David Sarif, along with IT expert Frank Pritchard, and his girlfriend Megan Reed. How positive or negative those relationships are is largely up to the player. In Mankind Divided, no such relationships are built. Jensen is more professional, more task oriented in this game, and the player cannot change this. This brings up one important aspect; role-playing. Deus Ex games are often referred to as either RPGs or RPG hybrids. In truth, none of the Deus Ex games have much at all in the way of role-playing elements. You can steer Jensen in certain directions and you can alter his personality between reckless and quick tempered, or methodical and patient and perhaps forgiving, with some in between. You can align yourself toward certain ideals, but you can’t do things like abandon Interpol to join A.R.C. The “skill tree” is all ability related, there are no stats that allow you to govern Jensen’s personality attributes, so it can’t really be called an RPG. But there is “choice and consequence” and these moments are powerful, although they don’t have the same kind of spiralling effects as full-fledged RPGs like Fallout 2 or those from BioWare. 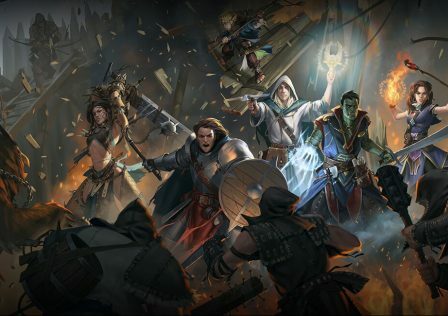 If we look at the definition of RPGs, they must at least give the player control over the player character’s physical and personality attributes. Deus Ex games do not provide the latter at all, and you can level up arm and leg strength via augmentations (rather than innate control which seems to be an RPG requirement), thus they aren’t RPGs if you compare them to original pen and paper RPGs like Dungeons & Dragons. The same applies to The Witcher games. They have elements loosely inspired by RPGs, but they are not RPGs. The stats provided are related to skills and abilities, which RPGs also have but they do not make a game an RPG, hence why games like Borderlands, PAYDAY 2, and Dishonored aren’t RPGs. Skill tree does not mean RPG. You must be able to define the player character’s innate physical and personality attributes in an RPG to some degree, and these games do not allow that. Does that make Deus Ex a lesser franchise? Of course not, it just means they go for something else. At the end of the day, what the writers were going for with this game was to build on the incredible world they’ve created. To show us a cyberpunk world in which, behind the scenes, corporations hold more power than governments. A world that even includes corporate states, a world in which you can’t trust any powerful figure. A world torn apart by a technology boom that raises many ethical and religious questions, a world with many unique organizations, cults, sects, and other kinds of groups as a result of this. A world suffering from discrimination and oppression that reminds us of things societies have gone through in the past and present. And of course, the Illuminati. Some might not take the idea seriously, but Deus Ex takes the idea of the legendary group devoted to ruling the world from behind the scenes, and runs with it. Mankind Divided doesn’t quite bathe itself in factual historic Illuminati lore like the first game did, but they are always present. Most of its members being billionaire CEOs, further driving the point home about unchecked corporate power and control. Deus Ex: Mankind Divided has some very strong moments in the storytelling department. The main issues seem to be the result of the game being rushed (Square Enix turning it into a trilogy). I believe the setting of the game should have been pushed forward a few years; rather than 2029, the earlier 2030s would be more acceptable. Many have complained about the transition between Human Revolution and this game. I find many of these complaints exaggerated, but nonetheless much more exposition and a smoother transition would be more than welcome. Several things in the story stand out as being incomplete or out of place. One character is tied to a subplot that is obviously incomplete; the entire Dvali sub-plot just needs more exposition. I also take issue with one side quest in which the player can rat out a dirty fake policeman to a slightly more idealistic cop, and apparently Jensen’s words are all it takes to spur the more idealistic cop into drastic action. No need to present evidence apparently. The game tries to play it off because the two cops hate each other, but nonetheless this is a bit extreme. Still, this is one minor side quest, an the rest of the quest brings up interesting questions and moral conflict, as do all others. Some may take issue with the ending of the Harvester side quest, and why the writers chose to end it that way. It is a bit cliche, and is a bit of a letdown considering how excellent the dialogue was throughout this side quest up until the end. There is one minor dialogue issue that’s almost unrelated to storytelling; dialogue with shopkeepers and traders seems to “reset” almost every time you talk to them, with them giving you the same dialogue as when you first met. Also, there is a glitch in which they can mistakenly address you as if you didn’t buy anything from their store (e.g., “You look! Why you not buying? !”) even if you actually did buy things. 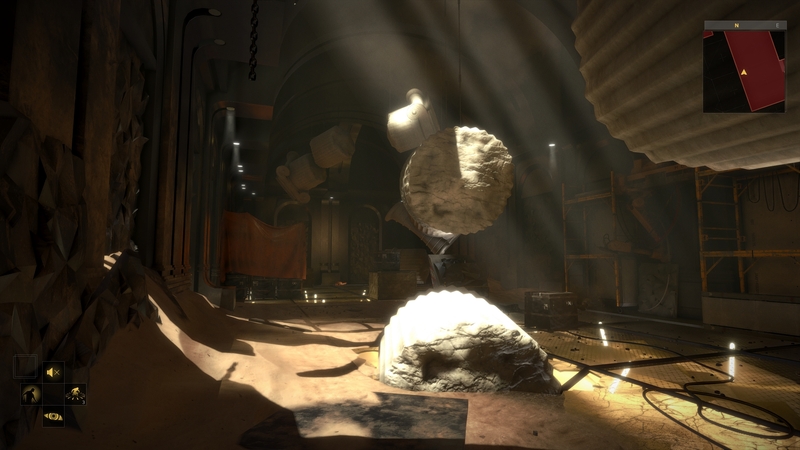 Some discussion has been directed toward LGBT elements in Mankind Divided. It doesn’t take a strong stance on LGBT and not too much is forced on us. Thankfully no SJW nonsense presents itself in any quests. It is clear that the developers made it a point to make a gay and lesbian character just to have them in the game (Jim Miller being the former, a random police officer is the latter). But none of this is damaging to the storyline. 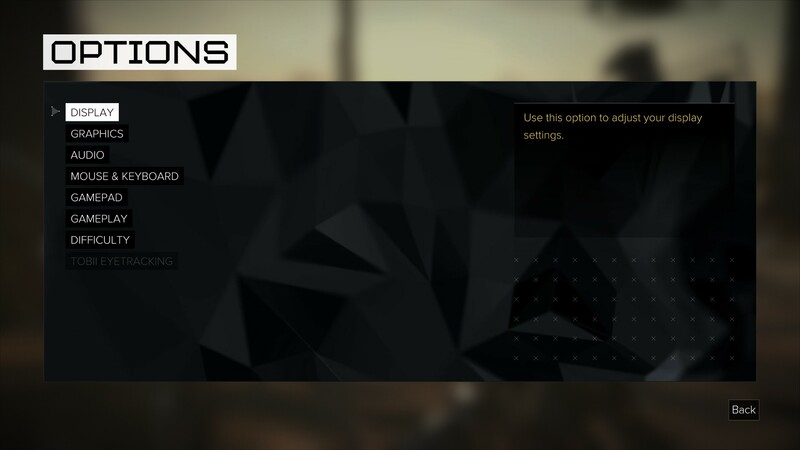 Lastly, there is the day one DLC, Desperate Measures which is underneath “Jensen’s Stories” in the main menu. It’s only around one hour long, it’s a single mission that fits into the middle of the storyline. 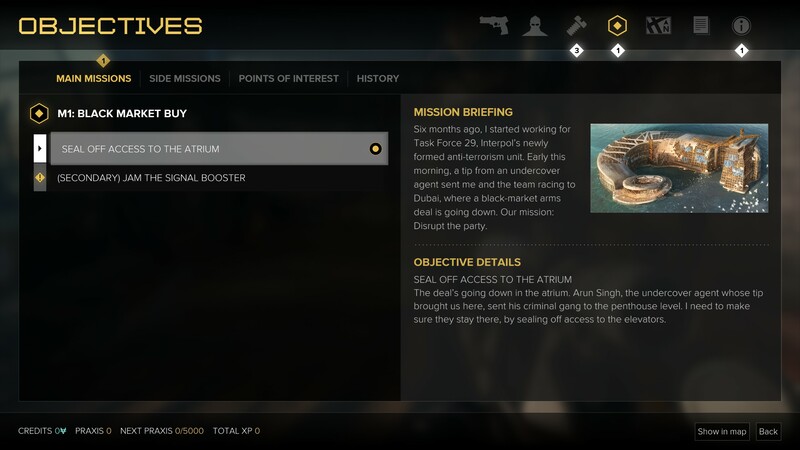 It’s not critically important to the story and the mission is unremarkable, but nonetheless because it fits into the middle of the story like Deus Ex: Human Revolution – The Missing Link, it should be included within the main campaign and not be separated. Hence why The Missing Link was never separate, so it’s weird that Desperate Measures is. 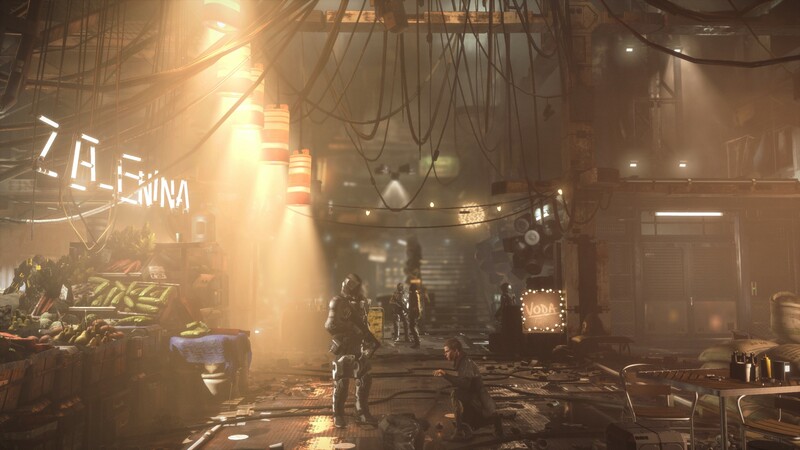 Large immaculately detailed hubs with free roam exploration designed to illustrate the chaotic state of the world, invading people’s privacy (optional, but you all know you do it), hidden side quests, hidden foreshadowing and other story material that isn’t mandatory, copious amounts of environmental interaction, first-person shooting and/or stealth, powerful augmentations that are almost as good as superpowers. All of this is Deus Ex. Mankind Divided is hardly an exception. There is only one exception really, and that’s environmental diversity. 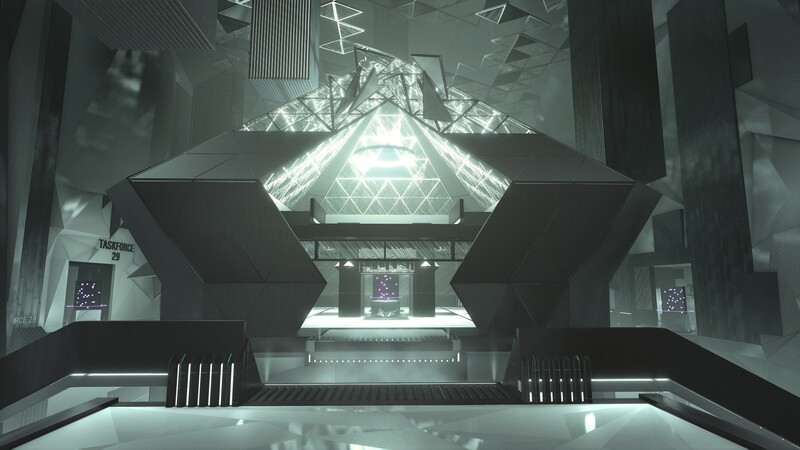 Mankind Divided has only one and a half hubs to my estimation; Prague and Golem City. Prague is the main hub, it is where most of the game takes place. It is enormous and diverse in its own right, having many different sections and depicting how augmented citizens live opposed to “naturals.” Not to mention it isn’t just split up into two diverse portions (like poor vs rich), it goes far deeper than that. 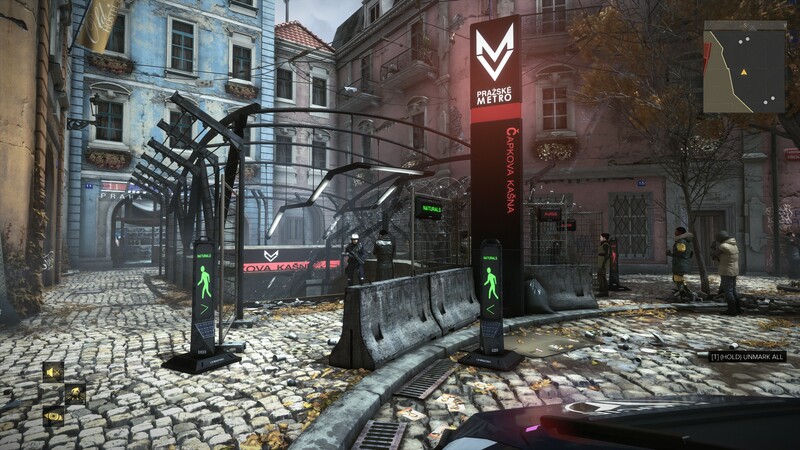 Golem City is a specialized city designed for augs, and lies on the outskirts of Prague. 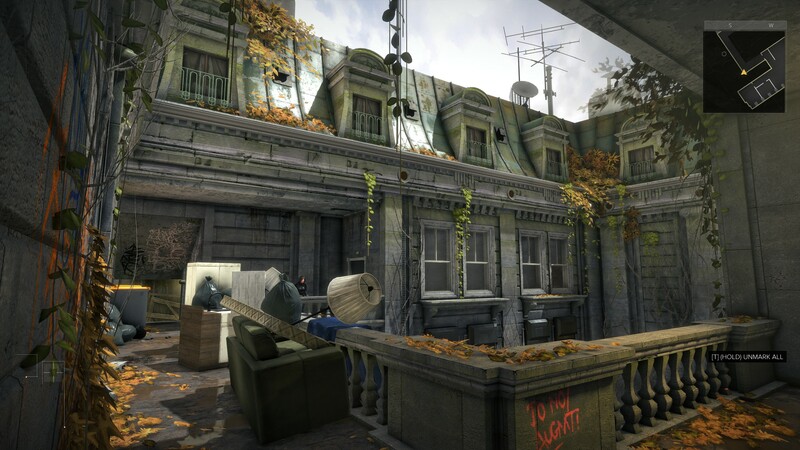 It looks totally different and is a bit more desperate, and is inhabited only by augs, but these augs aren’t much different than the ones in Prague. They are so close. The beginning of the game takes place in Dubai, but this is just a mission, and largely a tutorial at that (although it does contain important plot events). We don’t get to learn much about Dubai beyond what we read, so we don’t see much. A later portion of the game takes place in the Swiss Alps, and the last bit is in London. Again, you’re here on important missions so there isn’t much in the way of exploration or passive interaction whatsoever. Prague of course has dozens upon dozens of hours of exploration and side quests, but it will never be as diverse as multiple places in different continents. Compare all this to Deus Ex: Human Revolution, which has two full fledged hubs; Detroit, MI and Hengsha, China. Opposite sides of the world showing us two totally different cultures and how they were affected by current events. 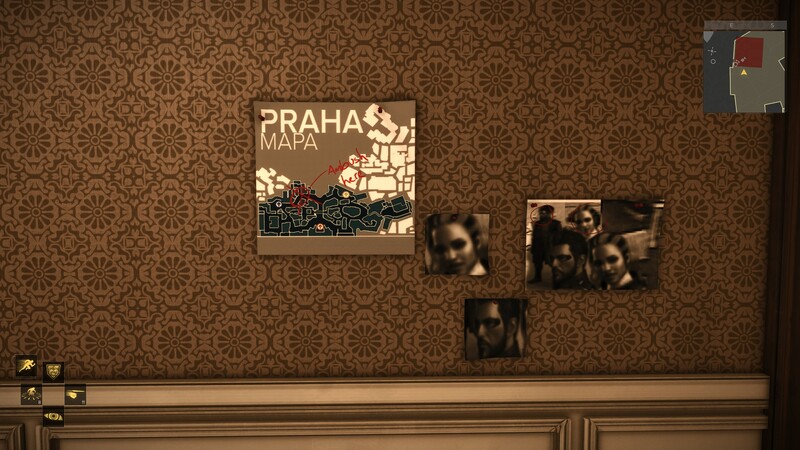 Sure, Prague is the biggest and most artistically detailed hub of them all (the latter certainly being at least partially the result of technological advancement over the years, along with more powerful consoles), but it and Golem City (which doesn’t have much in the way of side quests) aren’t quite enough. They don’t provide the environmental diversity seen in the previous games. 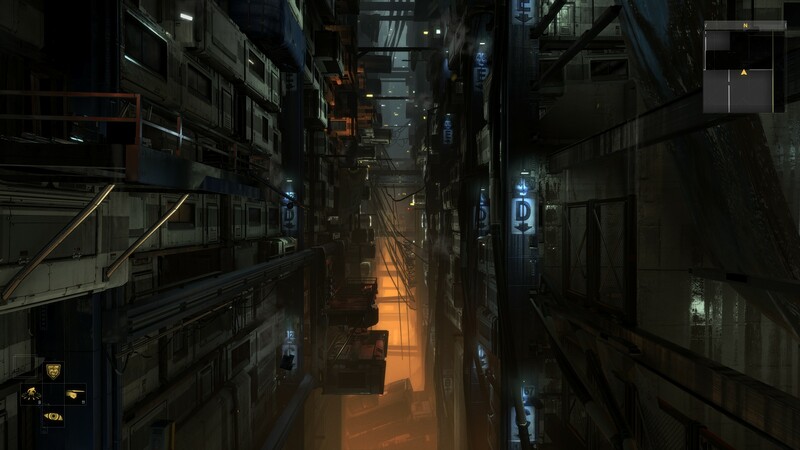 The original Deus Ex has even more environmental diversity than the others, with a massive hub in New York City, a hub in Paris, and another hub in Hong Kong. Plus, missions take you to a wider variety of places. Still, quality trumps quantity. Deus Ex will never be as immersive as Human Revolution or Mankind Divided as it was built on 1990s technology, and because Human Revolution and Mankind Divided are spectacularly designed games. But I believe Human Revolution hit the sweet spot here; two hubs in very different parts of the world, each intricately designed and detailed and of course unique. 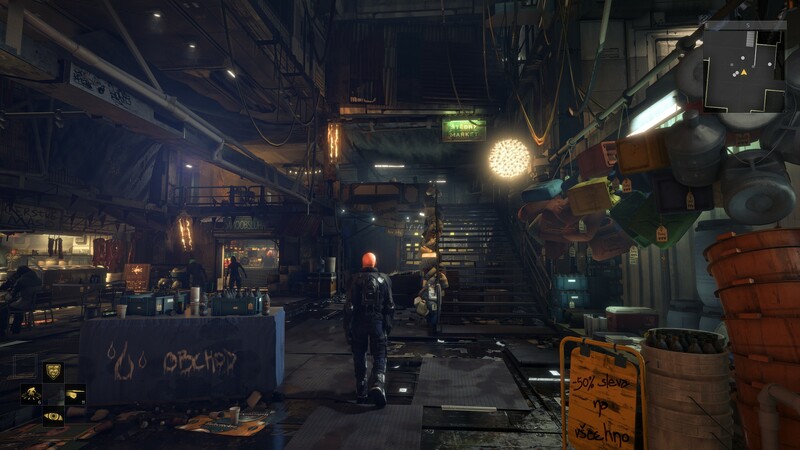 Each having nearly as much “content per square meter” as Mankind Divided, although Mankind Divided’s far more fleshed out sewers and undergrounds help a bit. I wouldn’t mind Prague being a bit smaller than it is, if it meant giving us another large, detailed hub in another part of the world. As with the previous games, there is no dynamic day/night cycle or dynamic weather. 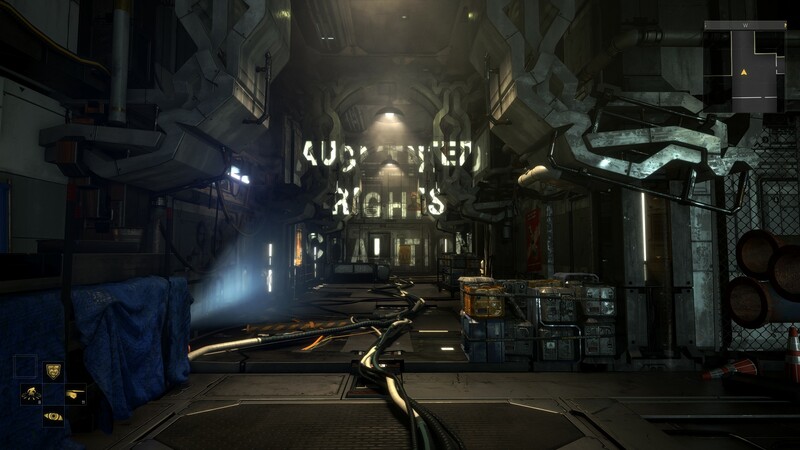 Many would hope for such a thing in a non-linear game, but Deus Ex has always integrated day and night into its plot to some extent and this game is no exception. 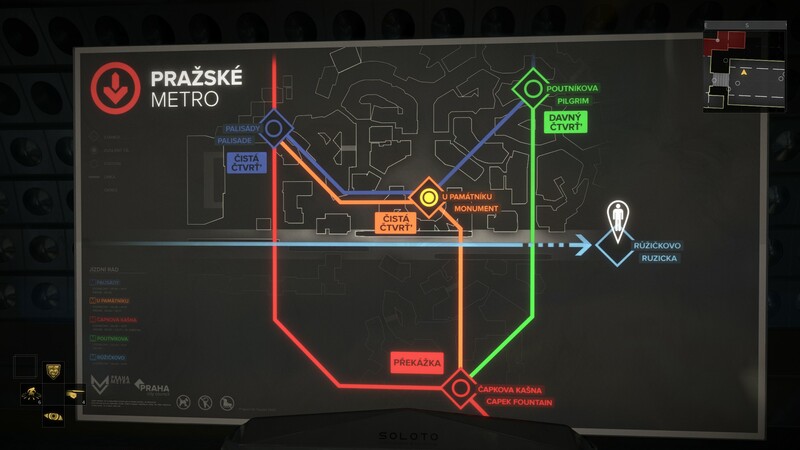 In Prague, you can shop at various stores (and encounter prejudice because you play as an augmented man), explore and steal (so many buildings can be entered, even if it might not initially seem that way), pick up side quests, and of course take on main quests. Police enforce the law, break it and there will be consequences. They do react to NPCs as well, and you can even get NPCs in trouble with the law if you’re clever enough. Don’t expect to see arrests though, only violence. Access to different parts of Prague aren’t always direct; the environment itself can be an obstacle. Side quests all contain unique characters, great dialogue, and strongly contribute to the story. You see, this is what separates games like Deus Ex from other games with exploration; no menial tasks, no isolated side quests, nothing without purpose. Everything fits together to build on the world and to add to the story either directly or thematically. Brilliant stuff, and here Mankind Divided shows improvements in side quests/characters. As mentioned earlier, the dialogue quality and character development encountered in all side quests, while building on the world and adding to the story, is all amazing to see. I’d go as far as saying Deus Ex: Mankind Divided is unparalleled in side quest/character quality. On the flip side, it obviously has less content than something like a Bethesda game. Remember to explore every inch of every map, and interact with everything even if it doesn’t seem like it can be interacted with. Deus Ex games, including this one, are more logical than most others. Real world logic applies to these games more than most other games. Can’t reach somewhere, even with your upgraded jumping augmentations? Make your own staircase by piling up a bunch of crap. The amount of environmental interaction is slightly more than in the previous games. Although, surprisingly doors still swing in both directions. The maps are slightly more complex than ever before, taking advantage of modern hardware. As with Human Revolution, maps are designed to take advantage of your augmentation abilities, and there is more vertical exploration than ever before as well as far more buildings to explore. 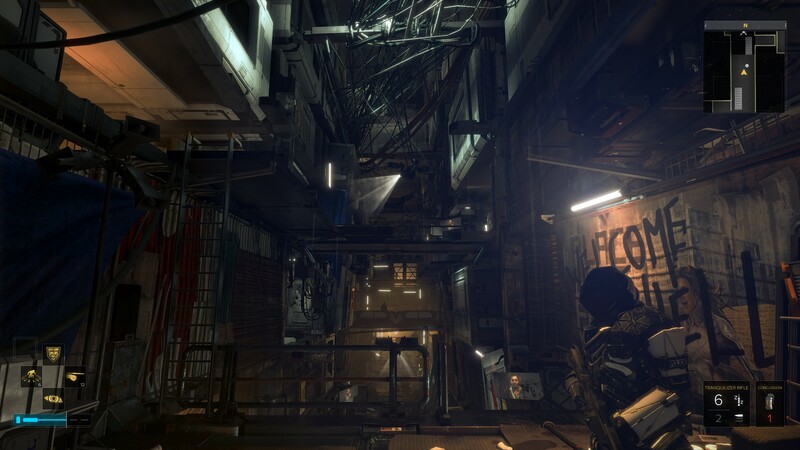 So Mankind Divided isn’t only bigger, it takes advantage of its size and is more dense. The interactive subway system. 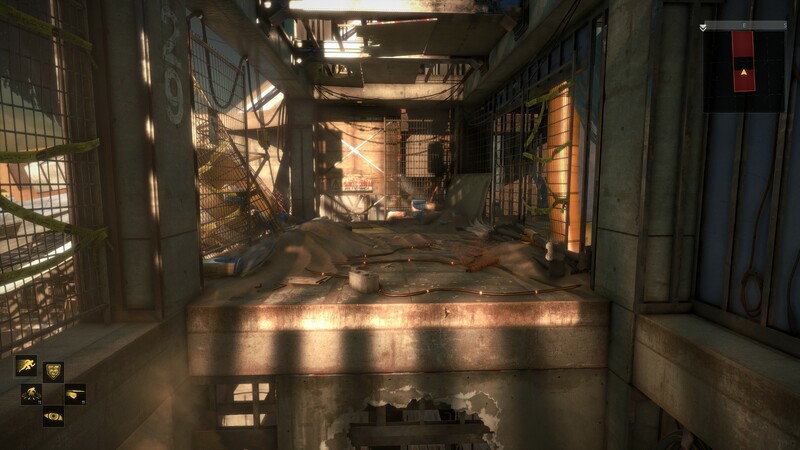 Subways are something of a staple of the Deus Ex series. Exploration may even lead to foreshadowing and other plot-related material, such as this. Let us tackle the elephant in the room; microtransactions. This game has them. There is a “SHOP” menu located within the game’s menus, and within you may purchase in-game items or currency with your own money. I do believe the game’s balance, namely with Praxis kits to unlock augmentations (not in-game currency as it’s easy to have excess money if you explore a lot), are designed to encourage the use of microtransactions. You can’t make a complete specialized character build without them. More on this below. Moving on, Deus Ex: Mankind Divided is once again a hybrid action/stealth game, with both FPS and cover shooter elements. Like with Human Revolution, there are tutorials (located in the menus) for virtually every gameplay mechanic, which can thankfully be ignored as well. A few in-game tutorials are scattered about as well, some shockingly… not very early in the game I might add. 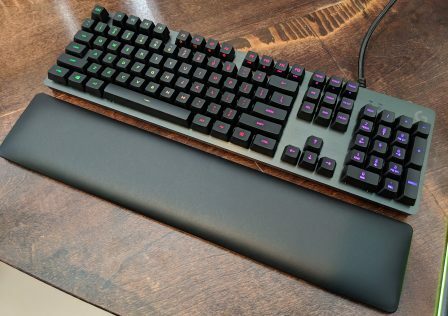 The control scheme for mouse and keyboard is decent; most of the number key row (1 through 0) can be used as hotkeys for items. 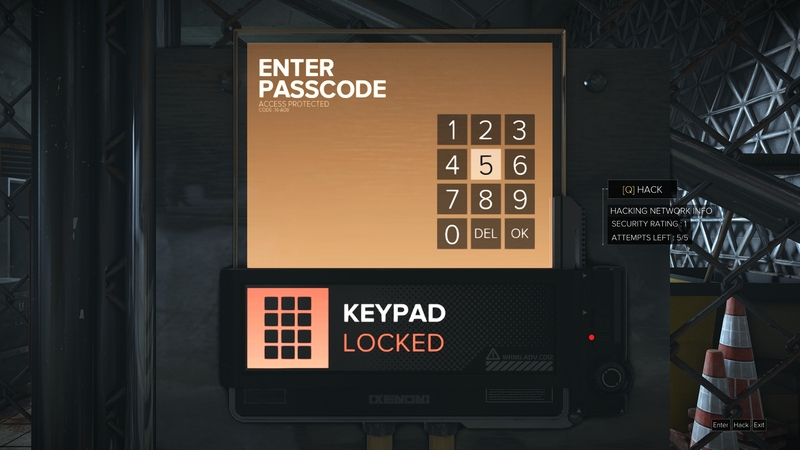 But one major downside is that only five keys/buttons are reserved for hotkeys for activated augmentations. So if you have six activated augmentations, which I wanted on my playthrough, you cannot use them all at once. This is the same nonsense seen in Dragon Age: Inquisition. There is absolutely no good reason for it. On that note, another control scheme issue is that too much functionality is bound to one key (E by default, the interaction key). It is used for picking up items, or holding it to drag bodies, but the issue is that it’s also used to quickly read new quest log entries (by holding the key) and to quickly read any pocket secretary that you just picked up (also by holding the key). To illustrate this problem, one mission involves incapacitating or killing 11 security guards, and searching each one for an important item. Every time you take out one of these guards, your quest log updates, and most of them also carry a pocket secretary. In addition, the quest encourages taking out these guards discreetly which, given the situation, is the logical thing to do. So, every time I took out a guard, I wanted to drag his body away by holding E, but instead it would open up the quest log because it just updated after taking out the guard. After closing the quest log, I go to drag the body again by holding E, but instead it brings up the pocket secretary that I just looted off of the guard. On the 3rd or 4th try I was able to drag the guard. Quite a problem as you can see. For those wondering, pocket secretaries are small electronic devices storing text information, usually emails or text messages. They are all around the game world, as are electronic “newspapers” which can also be read. 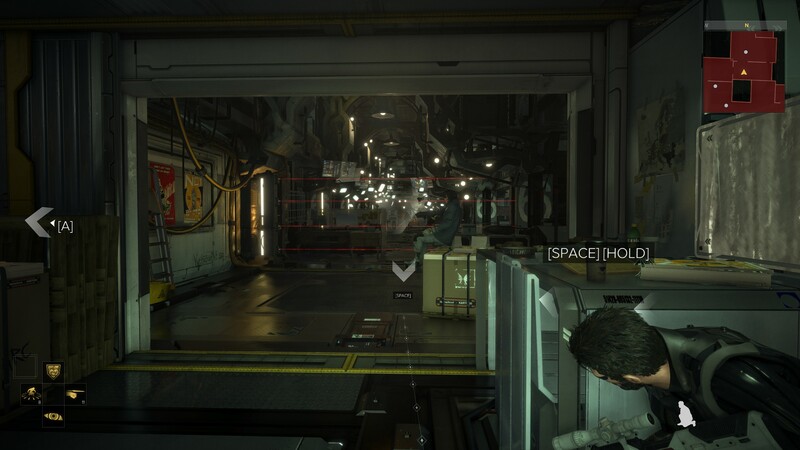 The general point of view of Deus Ex: Mankind Divided is first-person through the mechanically augmented eyes of Adam Jensen, and note that there is still no first person mesh or model. 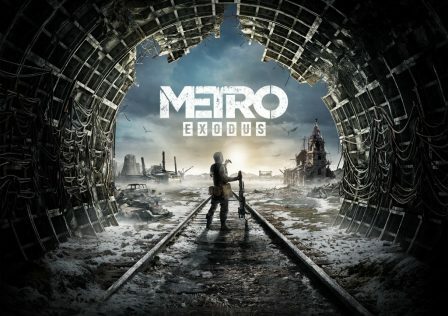 It has a third person cover system as well, which Human Revolution introduced to the franchise. 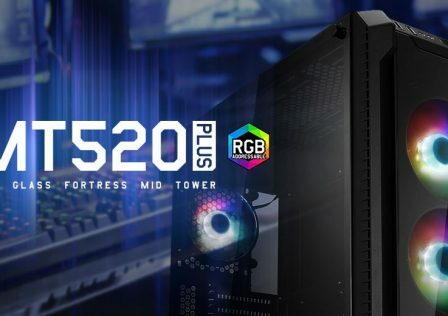 It works largely the same, so most gamers will be familiar with it as it was pioneered by Gears of War and employed by various other games such as Rainbow Six: Vegas and its sequel, the Mass Effect trilogy, Spec Ops: The Line, The Bureau: XCOM Declassified, and plenty more. What’s distinct about Mankind Divided’s cover system is the ability to move from cover at the click of a button, from any position. Normally, you can move from cover when at the edge of your cover, but here you can move wherever your mouse is pointed just by clicking a key. This includes moving to another piece of cover. Otherwise, it has the usual vault-over functionality, or holding a key to shift around a corner while remaining in cover, blind firing, accurate firing, you name it. It may be the best third person cover system out there right now. It’s fluid and intuitive. Thankfully a climbing system is present, as seen in the classic Thief games and also Dishonored. Any ledge can be climbed. It’s about time. This should be a standard for action games, and it’s very fitting in a game such as this due to the amount of possible exploration. Another new movement feature is the ability to hide underneath objects that you wouldn’t normally be able to fit under when crouched. This is done automatically—simply crouch walk up to an object that has some space underneath, and Jensen will automatically lower himself to fit underneath it. This is the same as Dishonored. That’s the extent of Mankind Divided’s movement, beyond the traditional standard movement, a toggle walk key, crouching, jumping, toggle sprint (which is not preferable in my opinion), picking up and throwing objects (with a Crysis-like throwing animation), and dragging bodies. Unfortunately you are still limited to dragging bodies, no carrying. There is no leaning but the cover system is a substitute (but I’d prefer both). As expected, the game presents many pathways, including hidden ones, to move around, which is vital for a stealth game. 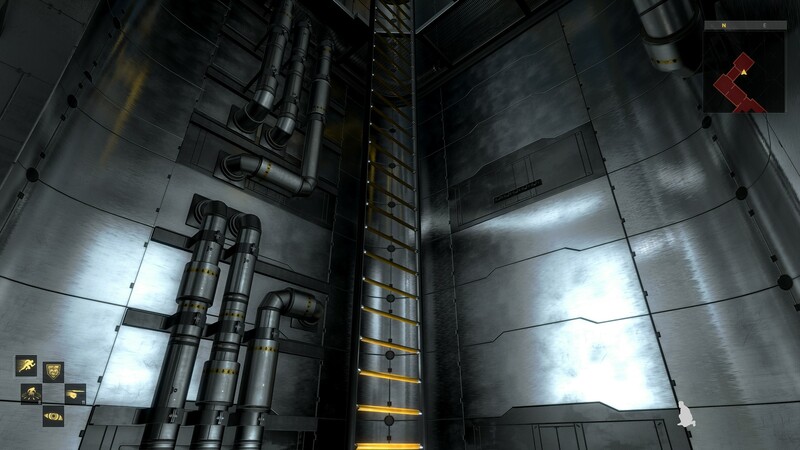 Ventilation shafts are again a big part of it, and it has more vertical exploration than every other game in the franchise. There is one issue with jumping. It seems that the game is coded to calculate jump height by scanning the environment above you. If it detects that you cannot utilize your full jump height due to a ceiling for example, it will limit your jump height severely. This is awful as it limits your ability to move around the environment. It’s a way of streamlining the game for controllers/consoles, but it just limits you since its calculations are quite off. One of the most important aspects of its gameplay is the augmentation system, as is the case for all Deus Ex games. 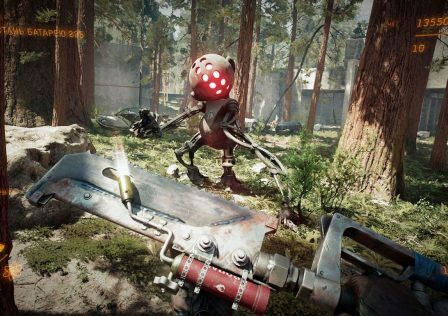 Like its predecessors, it takes on the form of a “skill tree.” The player character is mechanically augmented with artificial limbs and much more. Activating all augmentations at once is too much for the human body to handle, so you must gradually unlock features via Praxis kits, or special software. Since this game is a direct sequel to Human Revolution, you actually start off with some high level augmentations in the first mission. But an explosion damages your system and reverts you back to only basic augmentations after being repaired. Cliche, but understandable. It’s a lengthy game (35-40 hours if you don’t run around everywhere and if you explore everywhere), and it has to remain balanced and interesting throughout. Having the player unlock abilities as the game progresses is a must. Augmentations are sorted by body type, e.g. eye augmentations, arms, legs, torso, etc. Just like its predecessors. 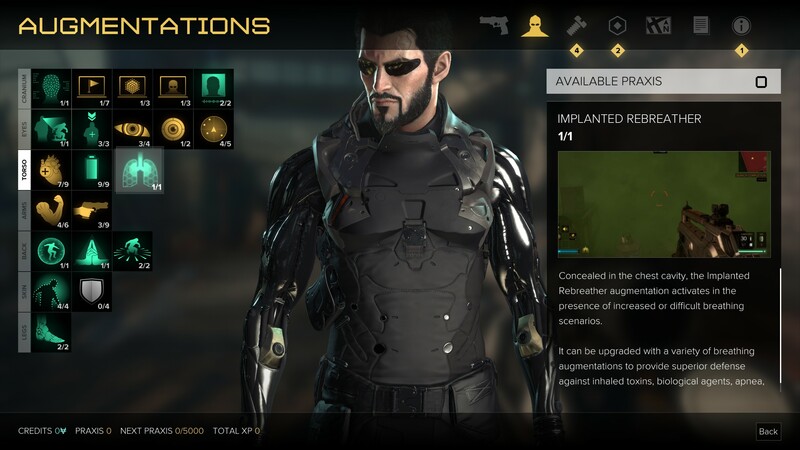 There are many kinds of augmentations, designed for combat, stealth, hacking, social awareness, recon, and more. This allows for multiple playstyles. They are all useful; typically a game with a skill tree of sorts will have at least one useless one, but not this game. They aren’t exclusively used for combat either, but can aid in exploration, trespassing, stealing, and more. 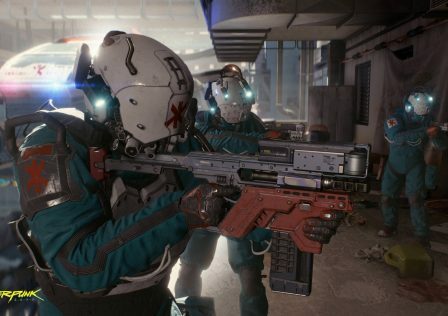 Who knows what players will come up with; as with the previous games, thanks to the environmental interaction and physics, as well as the augmentations, there aren’t many limits compared to other games. Activated augmentations (e.g. not passive ones) consume energy, as do melee takedowns. Being cautious with energy is a must, even towards the end of the game. You can’t be quite as liberal in your use of augmentations as you can in the original Deus Ex, although you don’t need to be afraid to use them either since biocells are common. Although I have to say, overall balance would be better if there were less biocells and if augmentations used less energy instead, like in Deus Ex. There are augmentations to increase maximum energy, energy recharge rate, and to reduce the delay with energy recharge. The same types exist for health. To be honest, it might have been preferable for the developers to merge the augmentation to reduce recharge delay time with the one that increases recharge rate. Every augmentation has a detailed description and an animated clip to show its use. Unfortunately, augmentations can only be bound to F1 through F4 keys, and MMB, as mentioned above. Whereas the original Deus Ex uses the entire standard F key row, F1 through F12, as it has more activated augmentations to begin with. Thus, you’re essentially limited to five activated augmentations at once. Another problem with augmentations in this game is that there aren’t enough Praxis kits. Forget about buying them; the state of the world results in Praxis kits being affordable only to the rich. Very few can be found within the world, which is also fine given the world state. But perhaps the player character should level up a bit more, which is the primary source of Praxis kits anyway; gaining XP and leveling up by completing quests, challenges (stealth/combat feats), exploring, and more. My character was geared towards combat, but I could barely max out any combat-related augmentation. The same applies for characters geared toward stealth and hacking. You won’t be able to max out most appropriate augmentations, and I’m not even talking about maxing out every augmentation since I am firmly against “do it all” character builds. Human Revolution had the opposite issue and left players with too many extra Praxis kits if they explore a lot, do most/all side quests, and buy them. Smart Vision, one of the game’s activated augmentations. It’s not just good for seeing people, robots, cameras, and sentries through walls, it can also display secret passageways, dangers, items of interest (with an upgrade). At least New Game+ exists, so this will be the first game in which I don’t particularly advise against it. Do not give in to microtransactions! Don’t support it. It was of course Square Enix’s idea, it was them who forced it into the game. Use Cheat Engine instead to give yourself XP, if you feel the need to acquire more Praxis kits than the game allows (and I think most players will). Some may take issue with the fact that three of the augmentations present in this game, namely the Titan, Reflex Booster, and Icarus Dash, are seemingly more advanced than ones featured in Deus Ex which takes place 23 years later. But as you can see, the developers behind this game were in a difficult position. Mankind Divided needed new augmented abilities over Human Revolution, and these three are awesome and very fun to use. On the other hand it somewhat jeopardizes the lore (more specifically the logic behind it). The solution is simple: Remake Deus Ex! With all the augmentations from the original plus more, with lots of new dialogue and a style more like this game and Human Revolution. But of course Square Enix is not smart enough to allow such a thing. Plenty of space, including vertically. Use the environment to your advantage, whether sneaking or engaging directly. Earlier we mentioned melee takedowns, which are activated by pressing or holding a key. Pressing results in a quieter non-lethal takedown, while holding the key results in a louder lethal takedown. 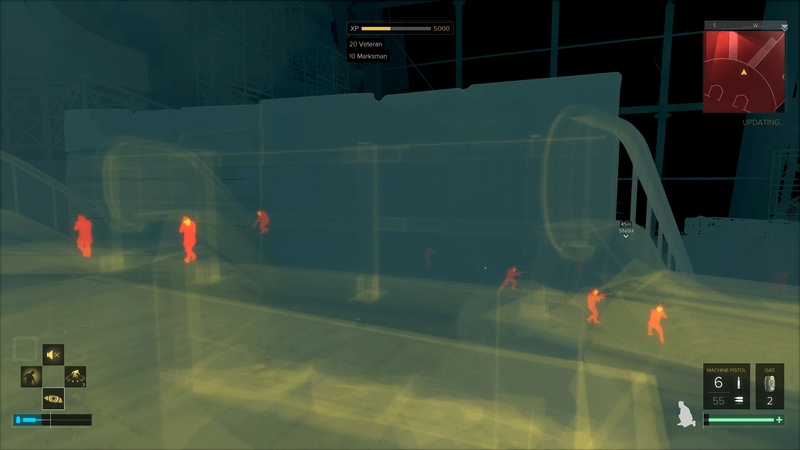 An augmentation exists to allow the player to take down more than one person at a time. The quest log is straightforward, separating main missions from side missions, as well as places of interest and previously completed quests. A map that tracks your position like a GPS is also present. Now let’s look at the inventory. It is very similar to the one in Human Revolution, with sorting and the ability to enable auto sorting in options. Items can be examined, moved, equipped/customized/combined when applicable. To do so, click the item, but sometimes it glitches and the menu showing these options doesn’t remain, so you must click again. A minor annoyance. One item combination involves combining mine templates with grenades, to create a mine of the same type as the grenade (e.g. fragmentation, EMP, gas, etc). Just like Human Revolution. But as it stands, this mechanic is broken and simply does not work. Nothing happens. 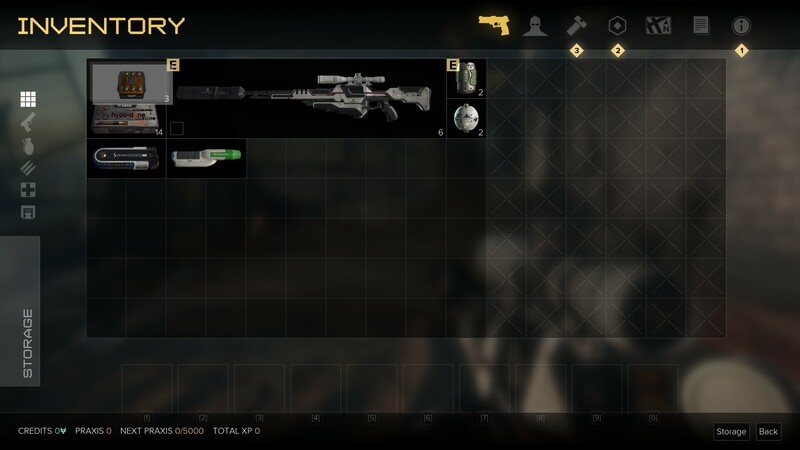 This brings us to weapon customization, pictured just below. Weapons can be upgraded here too, by clicking on the appropriate icon for the attribute you want to upgrade. Not unlike Resident Evil 4. Such upgrades cost “crafting parts.” There is also a Crysis style in-game weapon attachment screen, used for switching between attachments and ammo. On that note, the game also reserves a key for switching ammo types, so either can be used. Quick use menus for both augmentations and items are also present, both arranged in wheels (like the dialogue interface) so they are obviously designed for controllers. Not the best design for mouse and keyboard, but the regular inventory works well too. Admittedly I am tired of seeing dialogue wheels. It doesn’t make much of a difference here, but nonetheless vertically listed numbered choices is preferable for mouse and keyboard. Deus Ex: Mankind Divided doesn’t have many weapons however. Base weapons include a stun gun, tranquilizer rifle, 10mm pistol, submachine gun inspired by the H&K MP7A1, a revolver, a shotgun with an upgraded variant, a 5.56×45 assault rifle, a .308 DMR, two sniper rifles, and a grenade launcher. The higher tech Sci-Fi weapons from Human Revolution are absent. Balance is good while remaining logical and somewhat authentic, although silencers sadly have significant damage dropoff which is unrealistic. People without helmets can even survive a headshot from a silenced 10mm pistol. This trend needs to die; in reality silencers add length, but don’t have much in the way of performance penalty and actually reduce recoil somewhat. Gun handling is similar to Human Revolution but with much better animations of course. Recoil and aim sway are present and add authenticity to shooting. Augmentations exist to lower recoil and stabilize aiming. Enemies aren’t bullet sponges, although armor makes a believable difference. Be particularly weary if taking on someone in an exosuit, and use EMP devices to your advantage. EMP ammo even exists. Armored drones are another opponent, and EMPs are all you’ll want to use against them, even if the effects are only temporary. Augmented enemies late in the game thankfully use high level augmentations, making you feel less like a superhero and making the game more challenging. Such enemies are very mobile, jumping around to incredible heights, and some even use the Titan augmentation (which makes the user a very heavily armored shell). Other kinds of enemies, other than humans that is (both augmented and non-augmented of course), include various kinds of robots and sentry turrets. Some of the robots in this game are starting to resemble those seen in the original Deus Ex, effectively showing the technological progress throughout the franchise. There are no underwhelming boss fights like Human Revolution (which Director’s Cut fixed). That isn’t to say boss fights are removed entirely; there are two encounters (one of them optional) that resemble boss fights, but they are really just against a heavily augmented person in a dangerous environment. No special mechanics required to defeat them. But let us go over the crafting system we pointed out earlier. It’s simple and doesn’t involve a workbench or anything like that. “Crafting parts” can be found around the game world or even purchased. It’s scrap material. You can use them to upgrade weapon performance as mentioned above, or you can craft certain items seen below. There is a variety of usable items in this game. It can use more guns, but it has enough grenade-like weapons (smoke, gas, concussion, frag, EMP). Mines of these five types can be made, but good luck actually finding them. 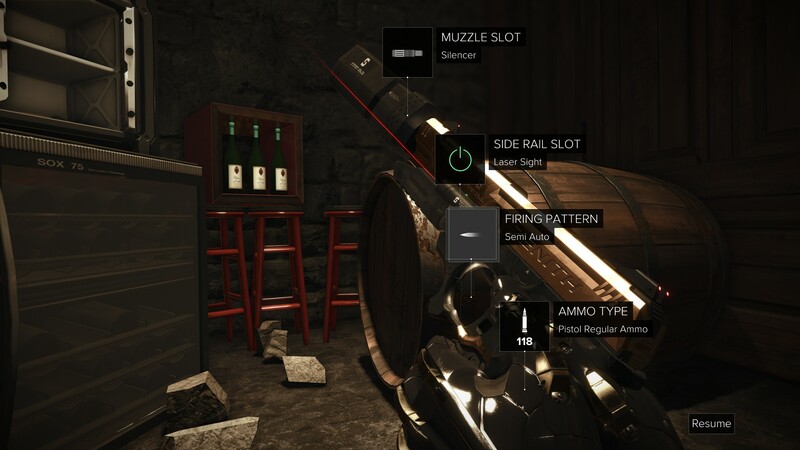 Rather you’ll have to combine a grenade with a blank mine template, to create a mine of the same kind. This is an issue; complete mines are too hard to find. Loot isn’t randomized, so it’s not like I had bad luck. There aren’t enough of them in the world, especially when you consider that combining mines doesn’t work. There are two kinds of regular health items; painkillers and hypostims, just like Human Revolution, although alcoholic beverages can also increase it at the cost of vision distortion. Then there are biocells to increase energy levels (they look different than in the original game which takes place 23 years later so that’s expected), a better choice than energy bars from Human Revolution. Biocells are plentiful if you explore, as are health items. I play the game on “Give Me Deus Ex” difficulty, and engaged in plenty of direct combat, and had lots of health and biocells to spare because I explore as much as I can. To my delight, multitools have returned! This is a one time use hacking device, that can immediately break into any electronically locked device. Only one is needed to break into even the most challenging lock, unlike the original game but I have no issue with this. They are rare, moderately priced by sellers, and cost quite a bit of crafting parts to make. I think the balance here is perfect. 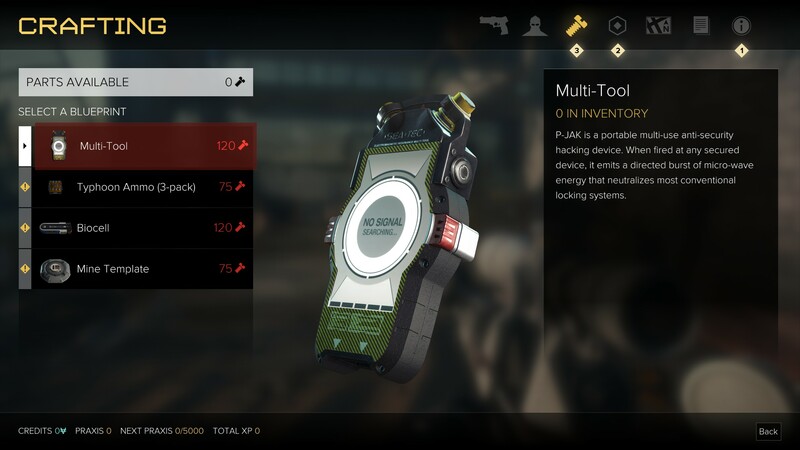 The inclusion of multitools is great, as the lack of them pretty much forced the player to unlock hacking augmentations in Human Revolution. Speaking of hacking, it is largely unchanged from Human Revolution although some extra softwares are included to aid the player. Hacking isn’t always necessary, as codes can sometimes be found for electronically locked things. But if you have no code, hacking is the next best option. Hacking involves capturing nodes and avoiding detection, so it is a mini-game. 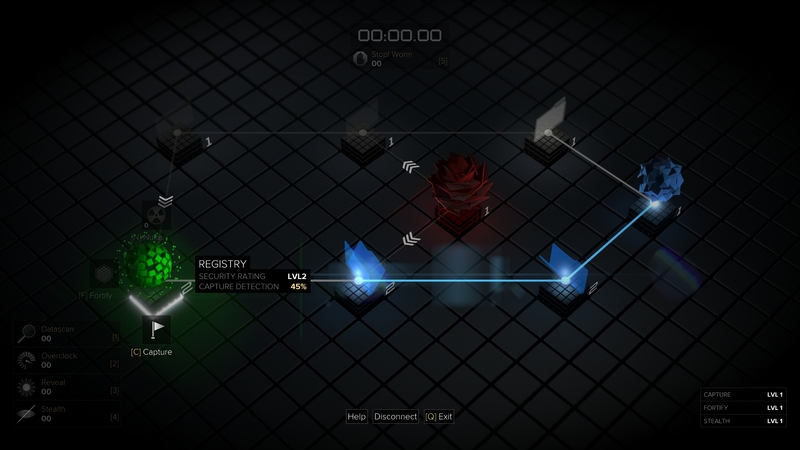 The hacking screen is now 3D unlike Human Revolution, and certain circuits only allow you to see one node ahead of you. 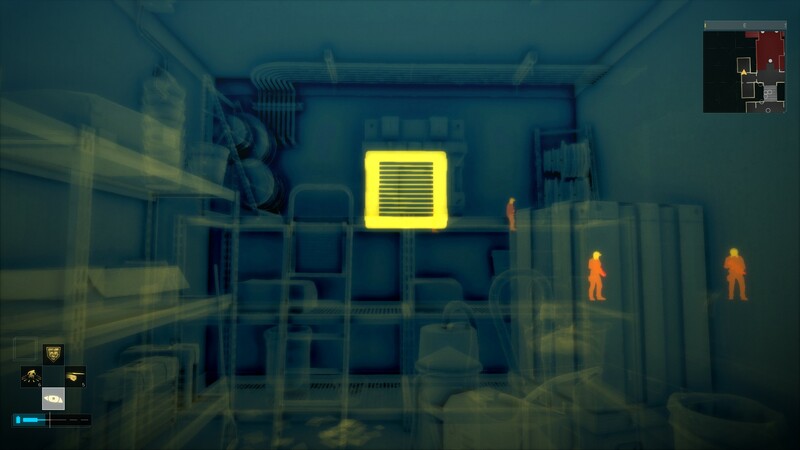 Due to the emphasis on environmental interaction, there are many physics effects in this game, particularly between hard bodies including destruction. It all looks good; shootouts cause lots of dust and debris, and things can be seen and heard breaking. The player can move and throw many kinds of objects. However, physics in general could use some tweaking. Some objects seem to weigh too little, and hard body collision isn’t as good as say NVIDIA’s PhysX engine. Physics glitches are very rare at least. The physics are an improvement over Human Revolution but not a gigantic one, although they are much better than Gamebryo/Creation engine physics for example. 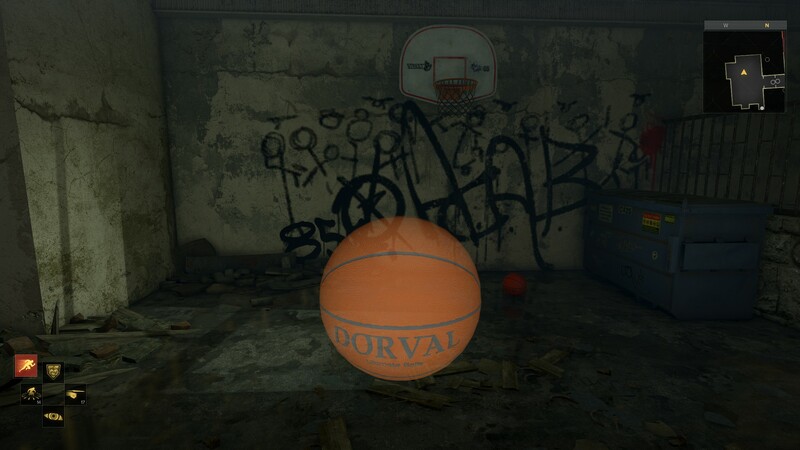 It’s not a Deus Ex game without basketball. Surprisingly, basketball physics are worse than ever before for this franchise. AI shows essentially zero improvements over Human Revolution, as expected. This area of game design is unfortunately lagging behind so badly, with only strategy games having impressive AI. As it stands, AI in this game works well now, but is very basic. They are alerted to fallen bretheren and will search the area as a result, but don’t notice if someone mysteriously disappears from their post. They aren’t very unpredictable, except for augmented soldiers later in the game. AI within hubs is a little bit more dynamic than Human Revolution and do react to stimuli other than the player, but still nowhere near as dynamic as Grand Theft Auto V or Bethesda games. Deus Ex: Mankind Divided does a better job than its predecessors in supporting multiple playstyles. In Human Revolution, a direct combat approach style seemed underpowered compared to stealth. In the original, the opposite was true. In Mankind Divided, all playstyles are incredibly fun and the balance between them all is excellent. 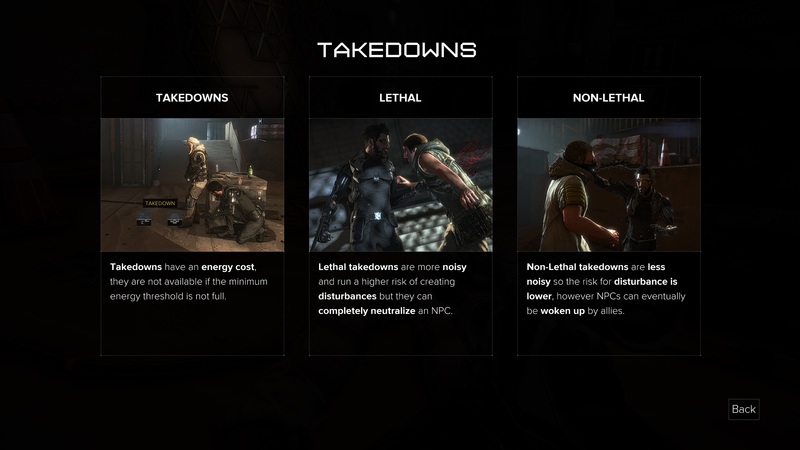 Below are videos showcasing combat in Deus Ex: Mankind Divided, with no spoilers. The game is on “Give Me Deus Ex” difficulty, and the character build is geared toward combat. 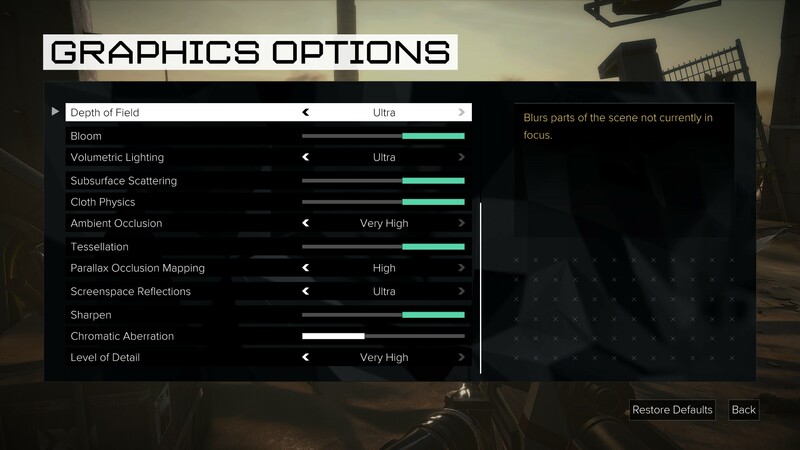 We’ll start off by showing you the graphics options. 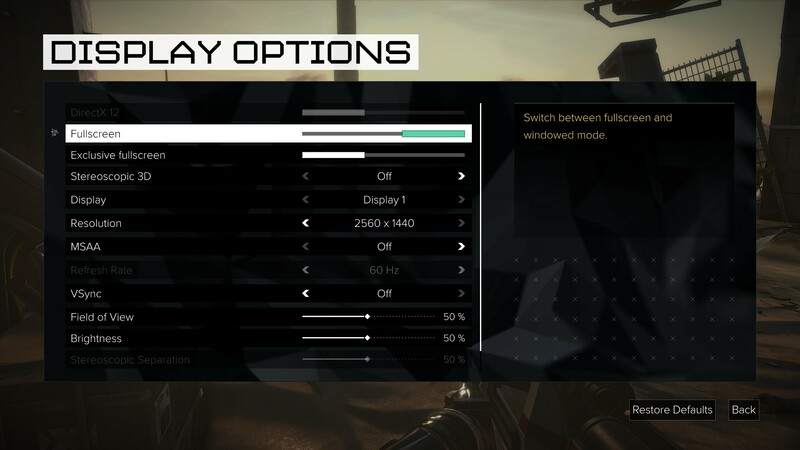 Audio options are basic, just volume for different things. It uses the system’s selected sound device and mode as with most games. 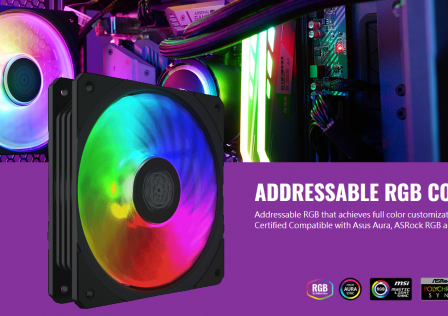 DirectX 11 is the default graphics API, DirectX 12 is available but only recommended for AMD users. FMOD is the audio API in use. The graphics are above average by 2016 standards which means it looks great, even if not the best. The materials processing is actually among the best of any released game; metals really look metallic, wood looks authentic, it just does a great job with surfaces. Although mirrors still do not reflect anything. Very convincing materials processing. Metals look like metal, as pictured above. The same for wood and other surfaces. Welcome to 2016. A sharpening option is present, but it’s too sharp, making the game look very aliased again. Post-sharpening via SweetFX or something similar is the best option, and it is what every other screenshot in this review demonstrates. 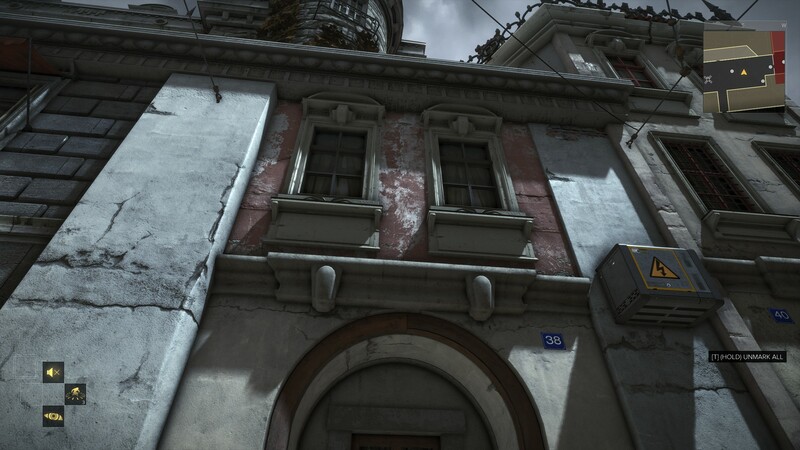 Interestingly enough, the textures in some places maintain that “smooth” or even clean look of Human Revolution, but most of the game looks in ruin, as it should given the setting and events. Another throwback to Human Revolution is the design of cars, which have the same awkward scale and shape. And, once again, cars cannot be seen driving throughout Prague, like how none can be seen driving in Detroit or Hengsha in Human Revolution, or New York City or Hong Kong or Paris in Deus Ex. Texture quality is a mixed bag; some of the terrain textures are excellent, at least 2048 x 2048, while others are average. There are some glitches related to textures, or rather decals that clip in and out of walls and such. The lighting system looks very good, but it’s still not as dynamic as it should be. Volumetric effects can be strongly present at times, overdone maybe, but it looks convincing at least. Shadows, when maxed out, look very nice and better than most, but even my system isn’t enough to max out these settings at 2560 x 1440 without dropping below 50 FPS. The main offender here is Contact Hardening Shadows being set to Ultra. It’s not worth running it on Ultra. Here is a performance and visual comparison between the three Contact Hardening Shadows settings. Contact Hardening Shadows disabled, 68 FPS. The more distant shadows look awful. Contact Hardening Shadows set to On, 59 FPS. All shadows look good. Contact Hardening Shadows set to Ultra, 46-47 FPS. Distant shadows are softer/more blurred. Since distant shadows look really poor without Contact Hardening Shadows, “On” is my recommended setting. 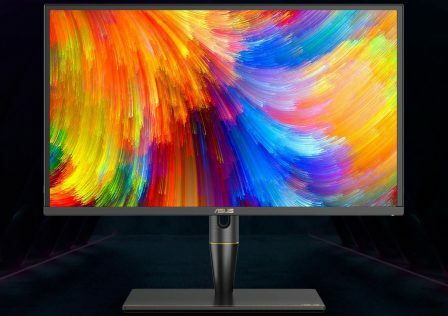 Ultra is too demanding and looks softer/blurrier, but is arguably too blurry. Overall model quality is pretty good by today’s standards, so it has its ups and downs. 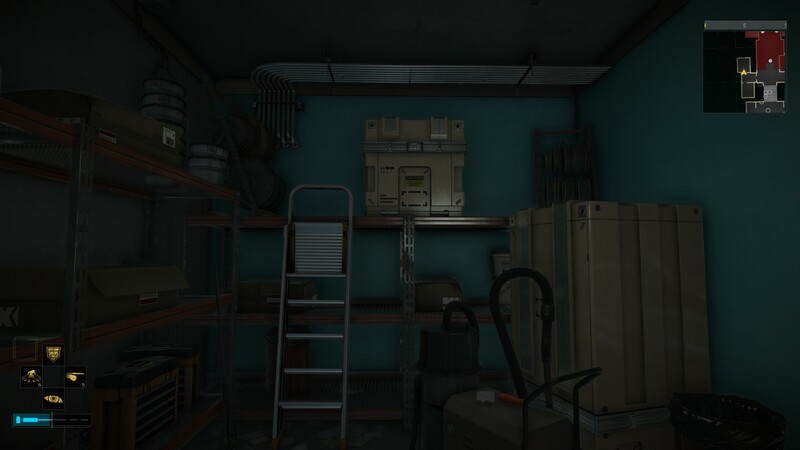 Rounded objects such as valves and pipes show tessellation and actually look round, as is expected in 2016. 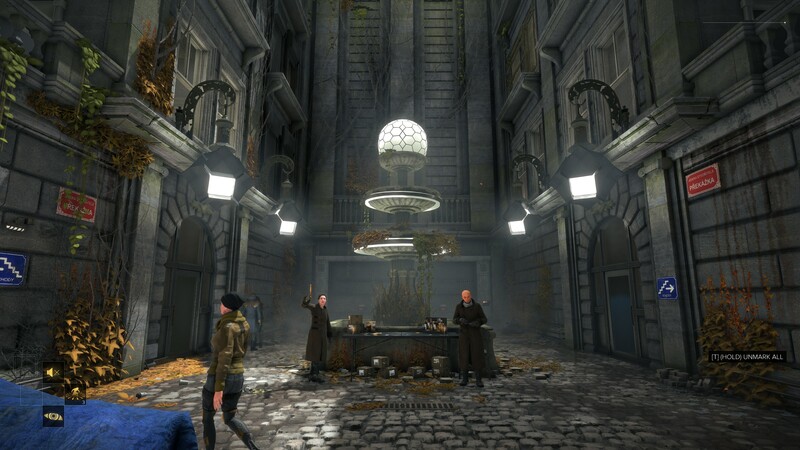 Buildings are rendered with utmost attention to detail, much more detail than Fallout 4 for example. This means more polygons, more 3D mapping, more tessellation, and everything looks three dimensional. Windows don’t look painted on for example. And more importantly, the texture/structural diversity of buildings and the environment in general is excellent making for a more authentic world. Example of the object detail in this game. Miscellaneous objects such as this are rendered with meticulous attention to detail. Character models are very good (hair is particularly good, despite not using Hairworks or TressFX), although facial animation isn’t great. Still, the character models are good enough to impress most. The majority of gamers tend to primarily grade a game’s graphics on its character models anyway, which is silly of course, but because of this expect perhaps too much praise for this game’s graphics. Clothing and armor look fantastic, as is the case with every recent AAA game. Animations on the other hand do not measure up to some other modern AAA games, and they aren’t a whole lot better than Human Revolution. Terrain is full of 3D mapping, and from a distance it looks fantastic. Up close however, things aren’t always as pretty namely due to texture quality. Sometimes the texture quality is excellent, but often times it is not. Muddy puddles look particularly low resolution, especially compared to the likes of Battlefield 1 or Uncharted 4. The parallax mapped stone ground of Prague doesn’t look very good. Prague stone terrain up close. Serious Sam 3, a 2011 game, for comparison. As far as post-processing goes, Mankind Divided has the usual effects including chromatic aberration which can thankfully be disabled. It uses bokeh depth of field, although other games do it better. It has a motion blur implementation, it could do with more HDR. 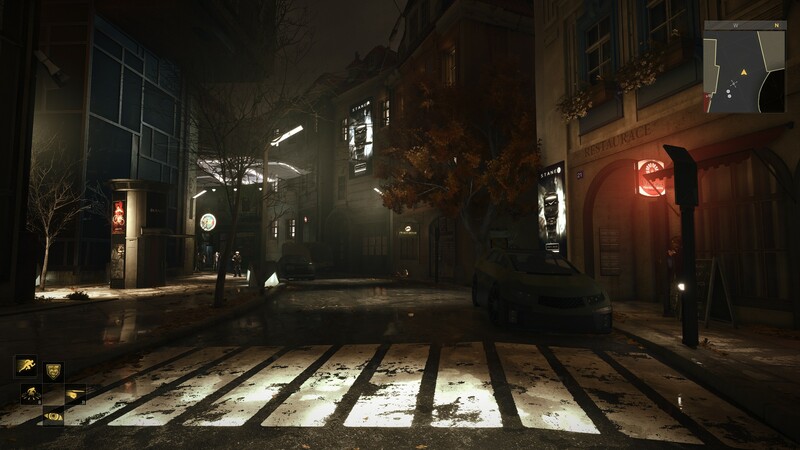 The only special weather effects are not dynamic; a sandstorm in the opening mission, and rain in Prague at night time. 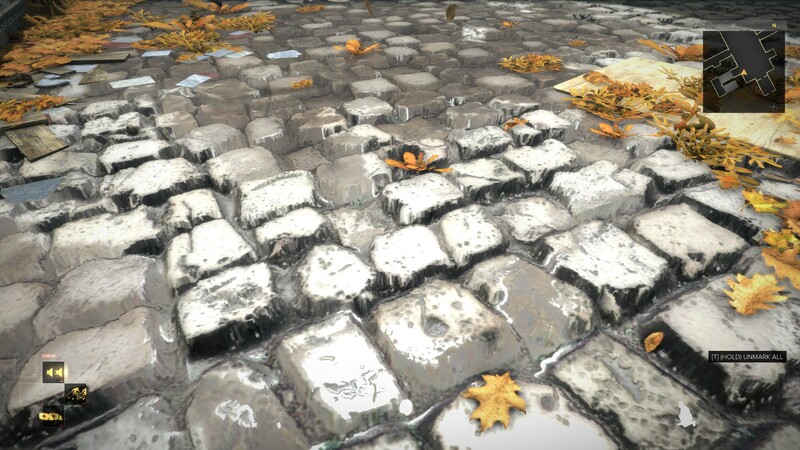 Since it’s not dynamic, the developers took liberties and manually added puddles to rainy Prague, but the wet surface textures are not convincing at all and still bested by a few older games in this regard. Raindrops themselves are the usual lines, again unconvincing. The sound is spot on though and utilizes all of my speaker channels well. Oddly enough, this is one of few modern games with ambient occlusion “glowing” or “bleeding.” I had thought this issue would be in the past by now, although both this game and Total War: WARHAMMER suffer from it. What this refers to is objects having a faint white glow in areas where lots of ambient occlusion is present. A minor annoyance. The sound design is somewhat reminiscent of Human Revolution. Both games use FMOD. Sound effects have improved considerably, but still sound familiar. Footsteps are more audible, guns sound very convincing, 5.1 surround support is very good (much better than Human Revolution). The soundtrack is also very similar to Human Revolution as it comes from the same composer. A sharp contrast to the 1980s action music from the original Deus Ex. Dynamic battle music is once again present (ambient soundtrack switches to battle music during combat), and this game has some of the best battle music I have ever heard. Jensen’s original voice actor resumes his role, and we wouldn’t have it any other way. The overall voice acting is very good, and includes a fair amount of Czech with no subtitles for authenticity. All of the important dialogue is in the localized language however. Initially I took issue with David Sarif having a new voice actor, but the new one does an admirable job trying to replicate the original. 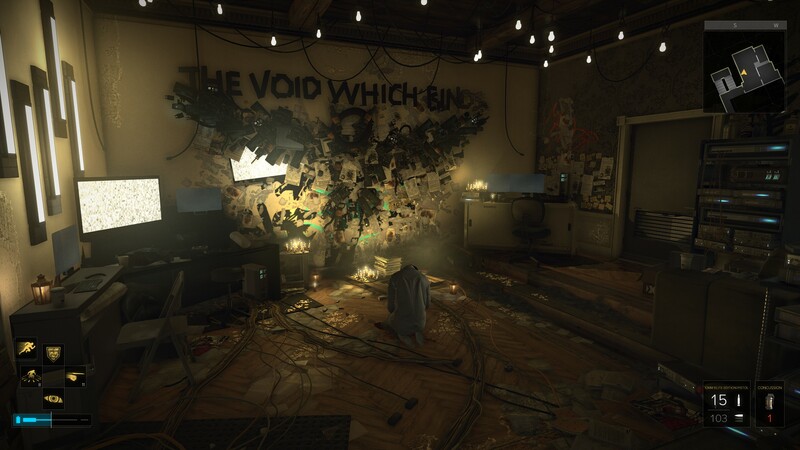 So as far as visual fidelity goes, Mankind Divided is proficient. 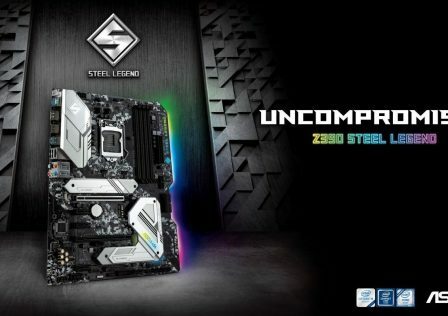 It isn’t as good looking or advanced as its performance would lead you to believe however. Artistically, it is even more potent. 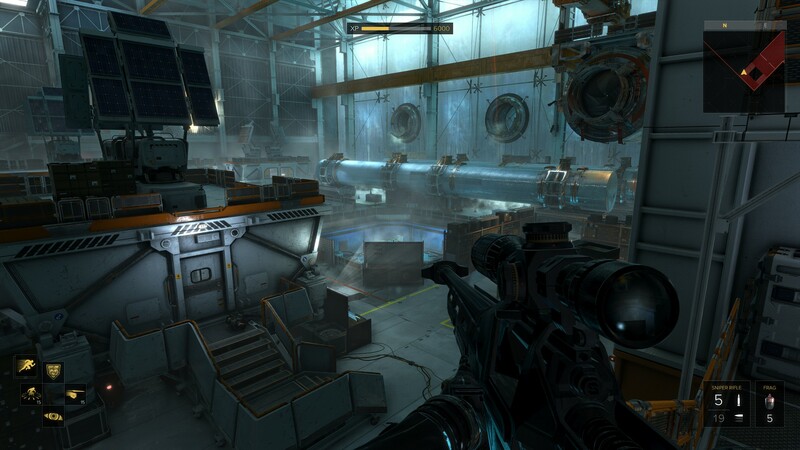 It is definitely the most artistically detailed and impressive Deus Ex game, using modern technology to its advantage. The environments do a spectacular job portraying the story’s themes accurately. It is incredibly detailed and you can really feel the tension in the air. There is so much graphical diversity in the world, even in the ventilation shafts! As far as texture, model, and architectural repetition goes, this game is one of the least offensive. The sound effects are a very welcome improvement over Human Revolution—playing this game on my 5.1 surround setup is very immersive indeed. Music is spot on, especially during battles. Let’s move on to a full conclusion on the next and final page! There are several ways to summarize Deus Ex: Mankind Divided. It can be called an unfinished game that had the potential to be a masterpiece yet is a worthy addition to the legendary Deus Ex franchise. 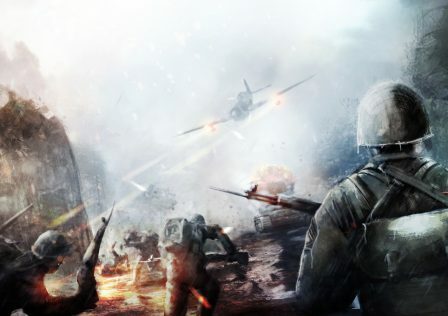 It may become known as the action game with more dialogue than action, although this depends on how the player chooses to play. Nonetheless, it is one of the absolute most dialogue heavy games around, and much of the dialogue is splendid. It can be called one of the most immersive games ever made, due to the artistic attention to detail combined with the better parts of its writing quality particularly in the side quests/characters and how they add to both the world and the story. That is until the rushed, unfinished, and out of place elements of the story slap you in the face. Every single side quest is filled with actual characters, not quest-giving robots. They are their own person, bringing thought-provoking dialogue that always introduces a new perspective to the current events in the game. No side quests are menial, all involve a unique task and add to the story thematically and sometimes directly. There is no wasted content in Deus Ex: Mankind Divided, and this really separates it from almost every other video game. This is something that Deus Ex and Deus Ex: Human Revolution also succeed at, but Mankind Divided raises the bar here thanks to better dialogue in many of these side quests. However, it is not quite a universal improvement over Deus Ex: Human Revolution or the original Deus Ex. 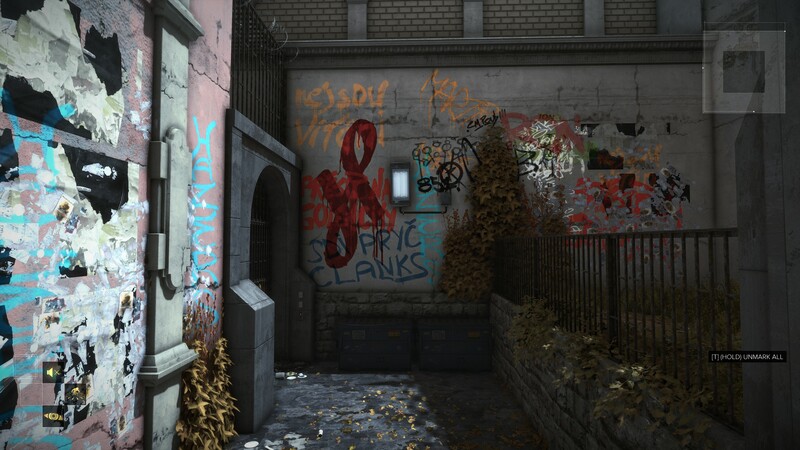 The majority of Mankind Divided takes place in Prague, and while Prague is massive and incredibly detailed, it ultimately lacks the environmental and cultural diversity of its best predecessors. Both the original and Human Revolution have a more coherent plot, which is especially impressive when you consider the scope of their plots is greater. Gameplay mechanics are a universal improvement over Human Revolution. It has all of the augmentations from Human Revolution and then more, it has improved cover system functionality, it has better movement including the ability to climb any ledge, it has far more weapon customization and more items. AI is essentially the same, hacking has only minor changes along with some new softwares available to the player. Some may take issue with the fact that the protagonist, Adam Jensen, doesn’t have or make any friends in Mankind Divided. He never becomes very close with any character. It makes perfect sense why he wouldn’t, so really there is no issue here, but it may not be to everyone’s liking. Likewise, those expecting a game with non-stop action might leave disappointed, as dialogue and storytelling often prevail. However, due to the freedom the game offers, players are almost always free to do what they want. For a breakdown of how our scoring system works, read this. 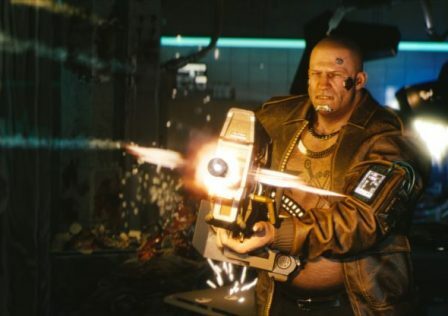 Cyberpunk 2077 Footage Includes a Secret Message, Nvidia RTX and hairworks confirmed?